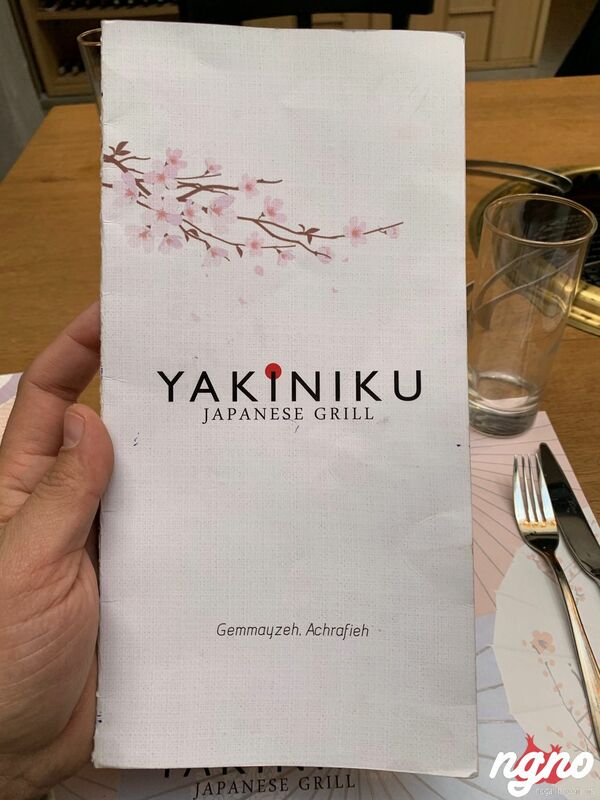 The “YA” family has taken over Gemmayze transforming it into “Asia Town” a concept after the other, and they are all awesome!!!! 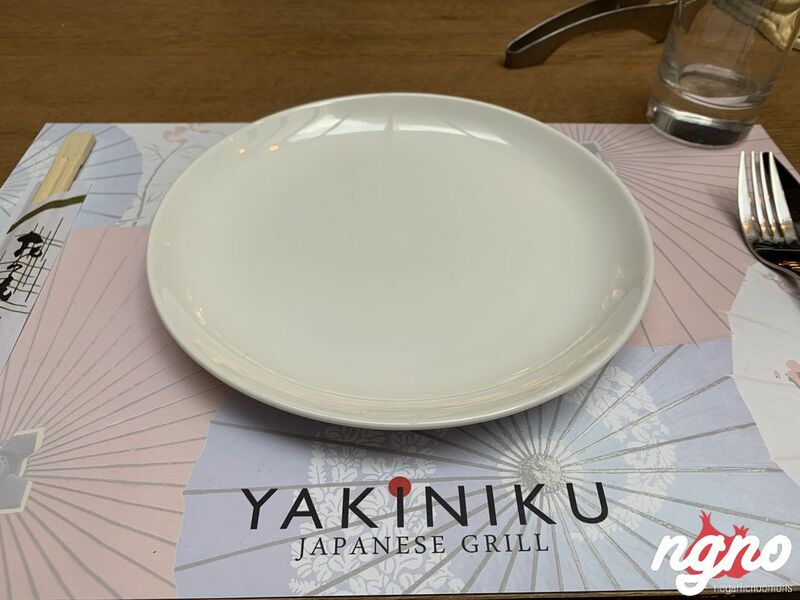 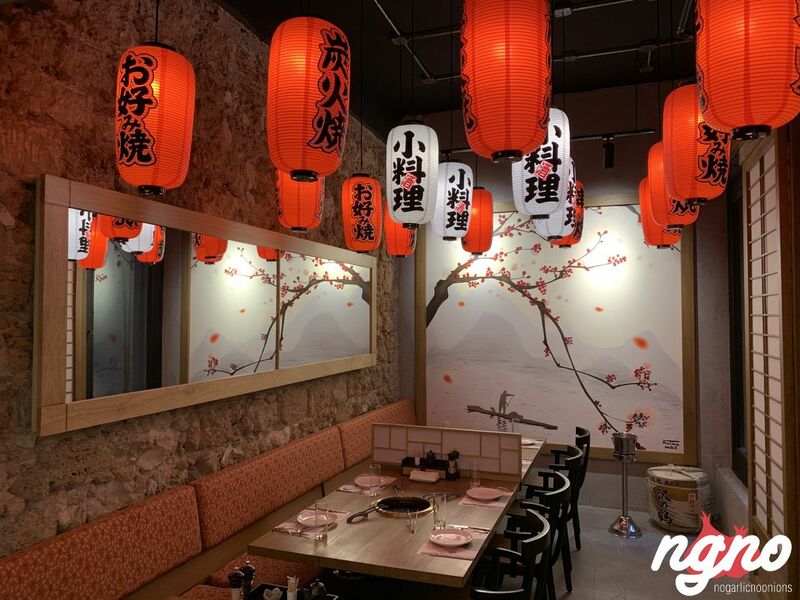 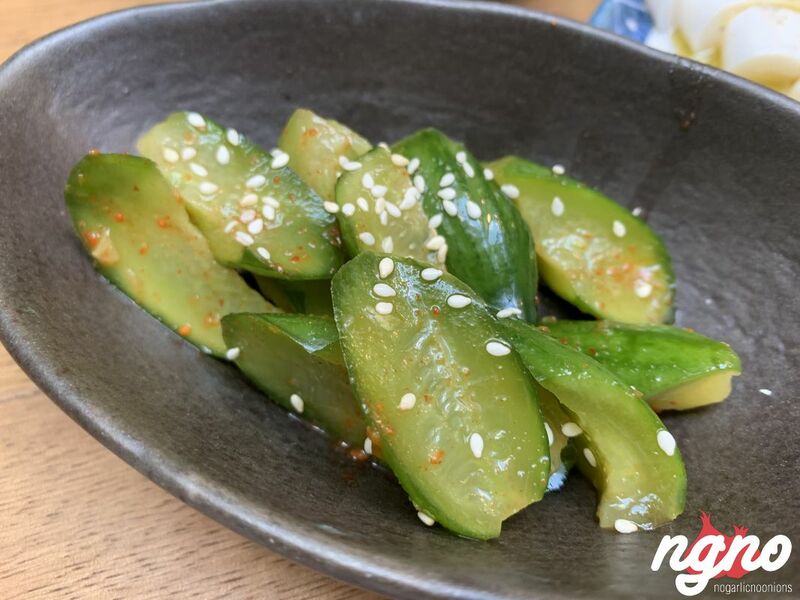 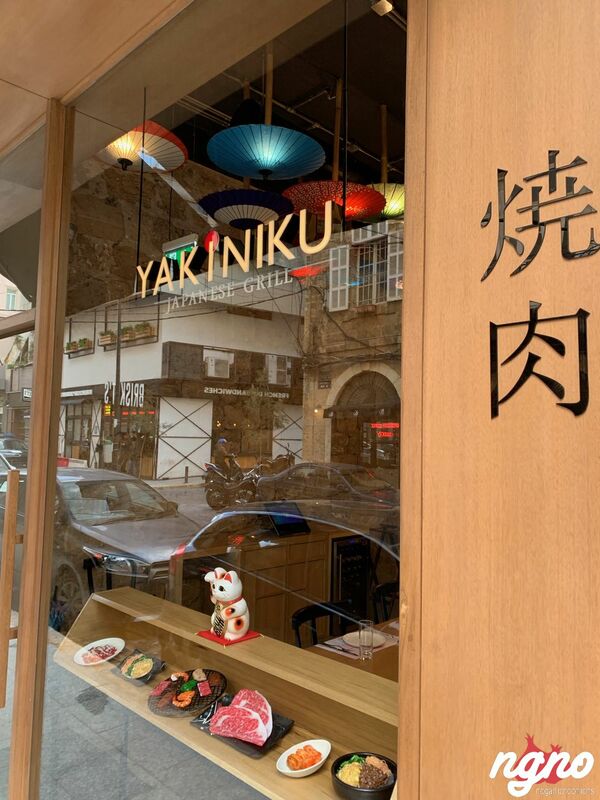 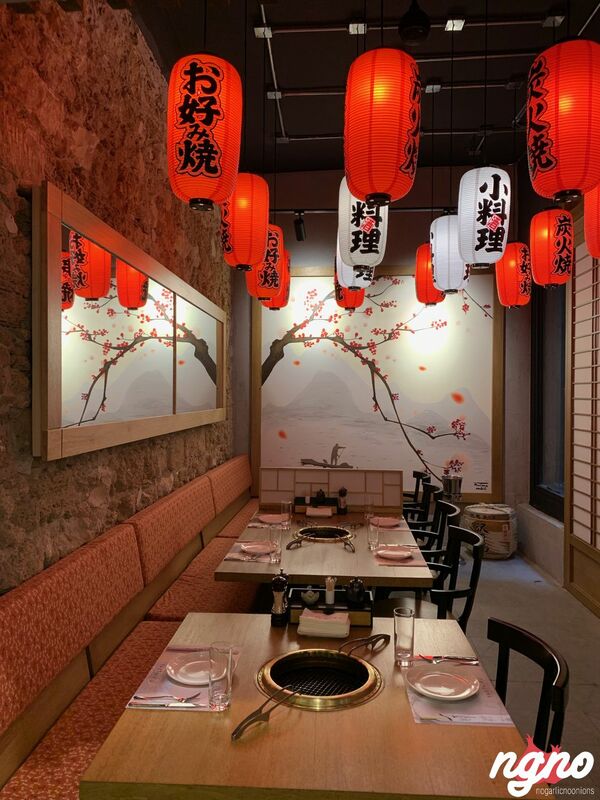 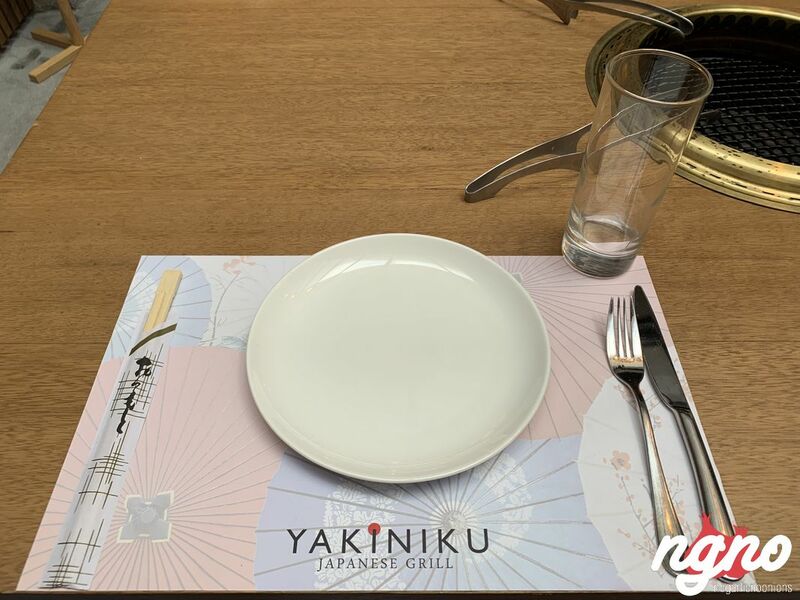 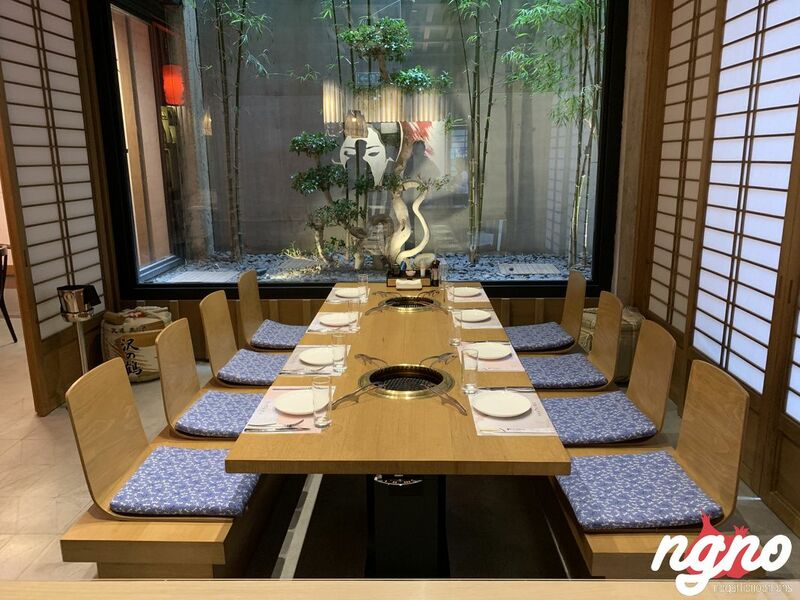 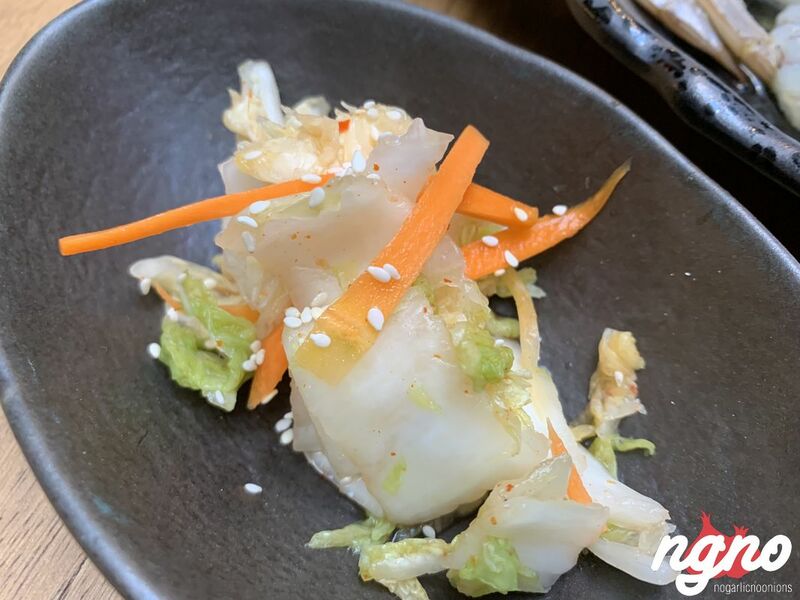 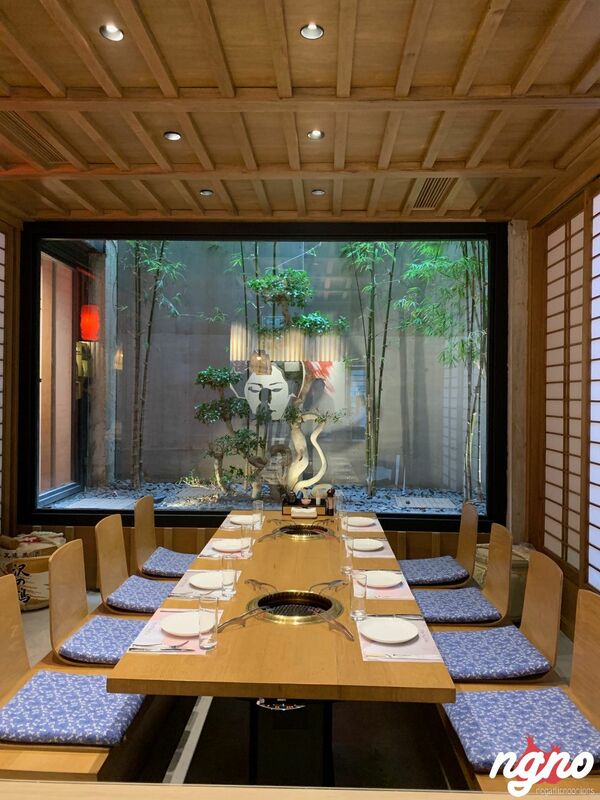 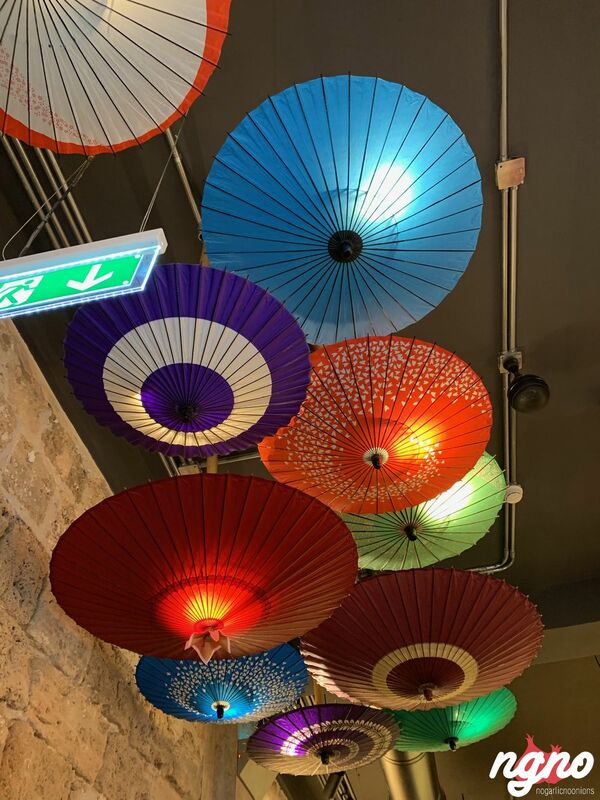 Mitsu-Ya has one of the best Sushi in town, Ramen-Ya’s Ramens rocks and Yakiniku is where Asian fine-dining is reinvented to impress. 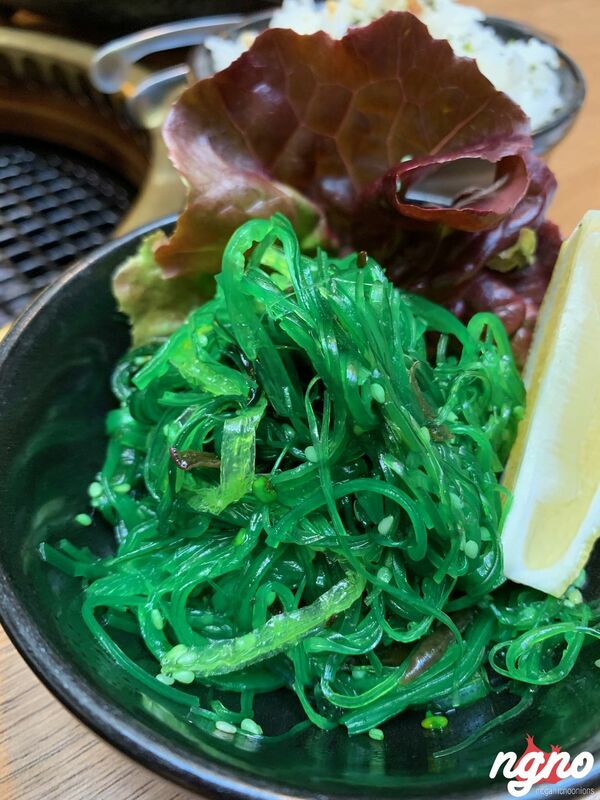 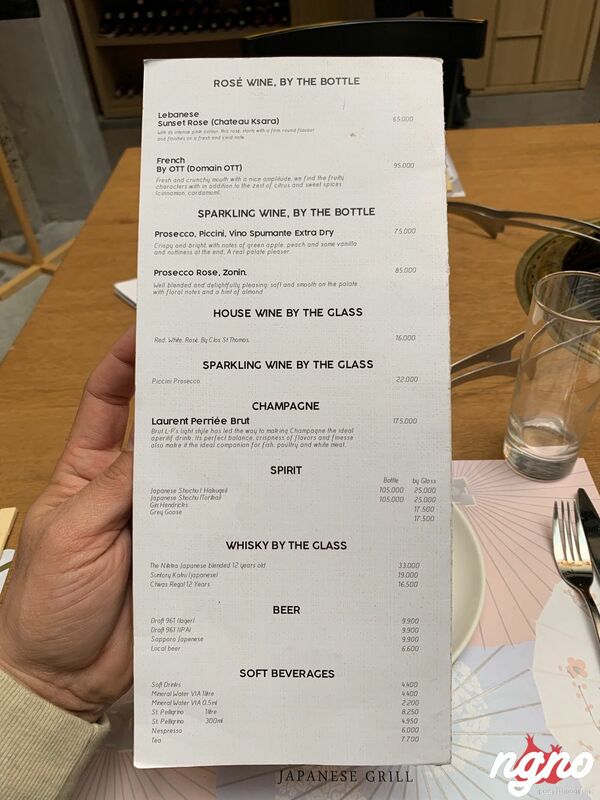 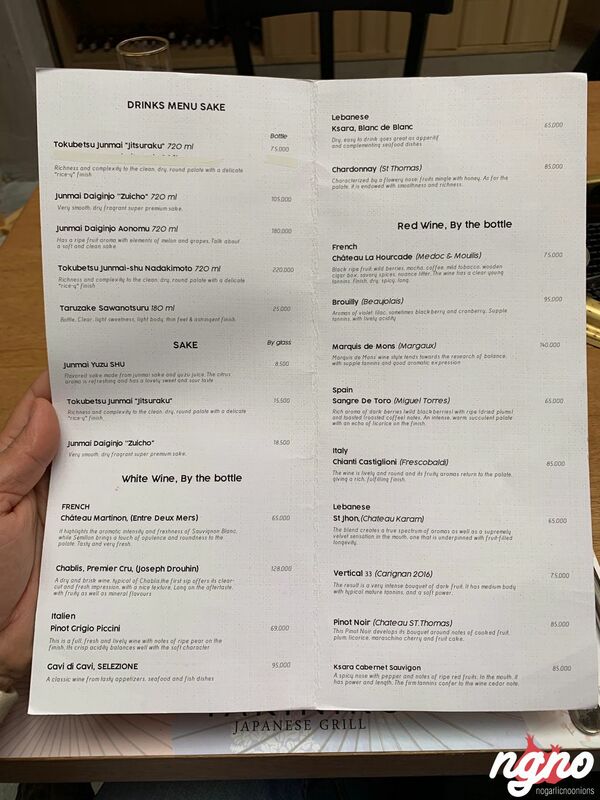 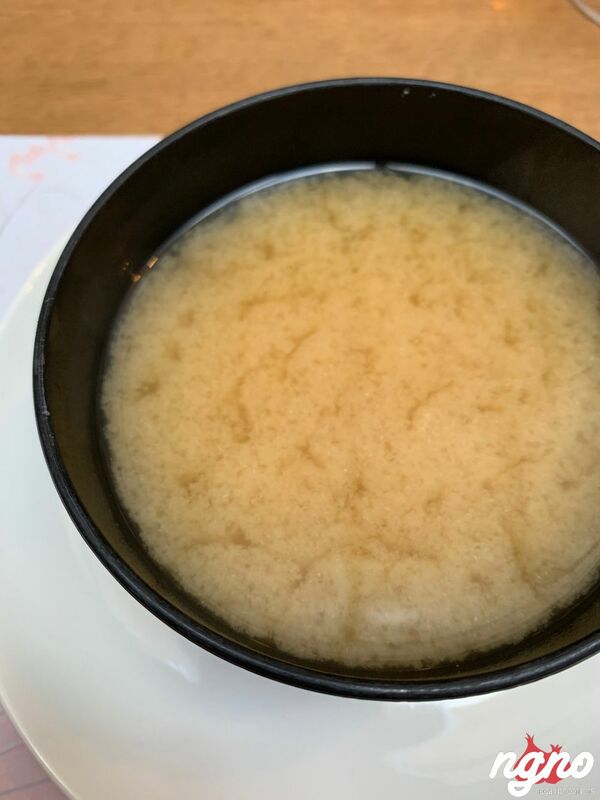 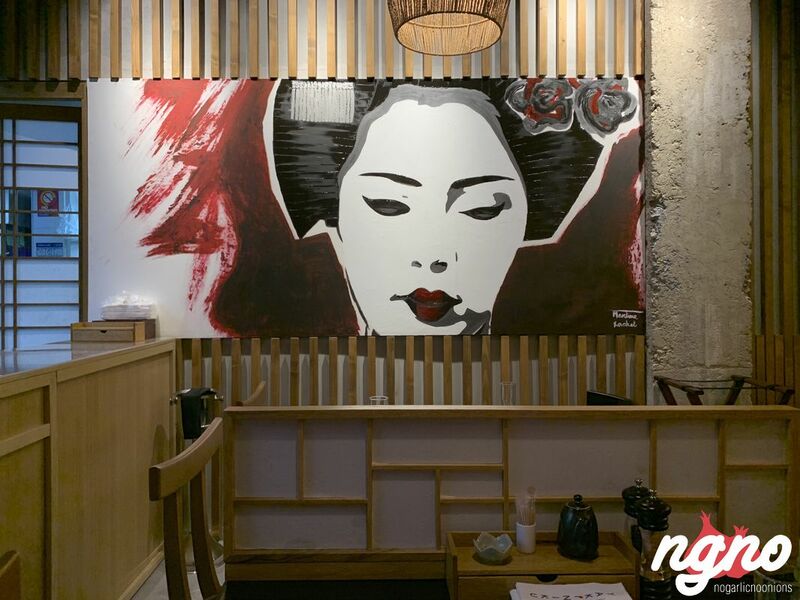 Next, to Ramen-Ya, a classy restaurant has opened its doors. 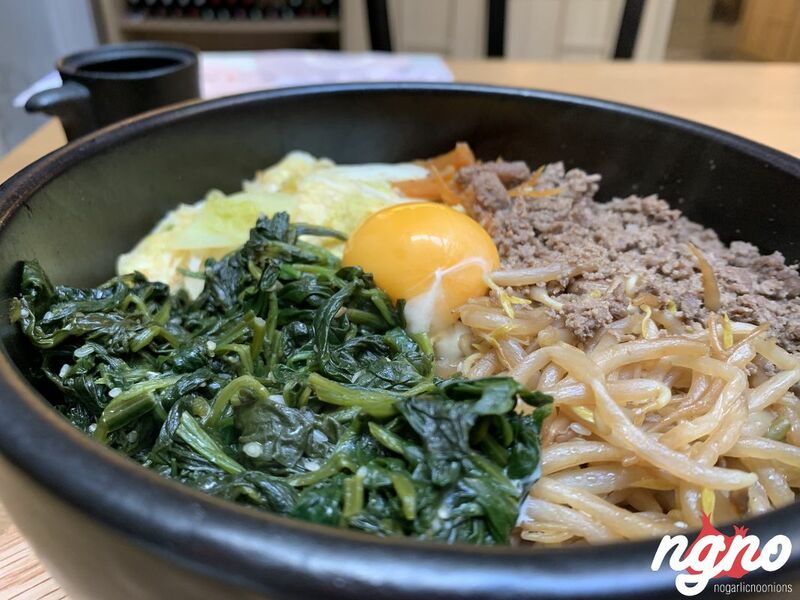 Next to Ramen-Ya, a one door shop is much more than you think it is. 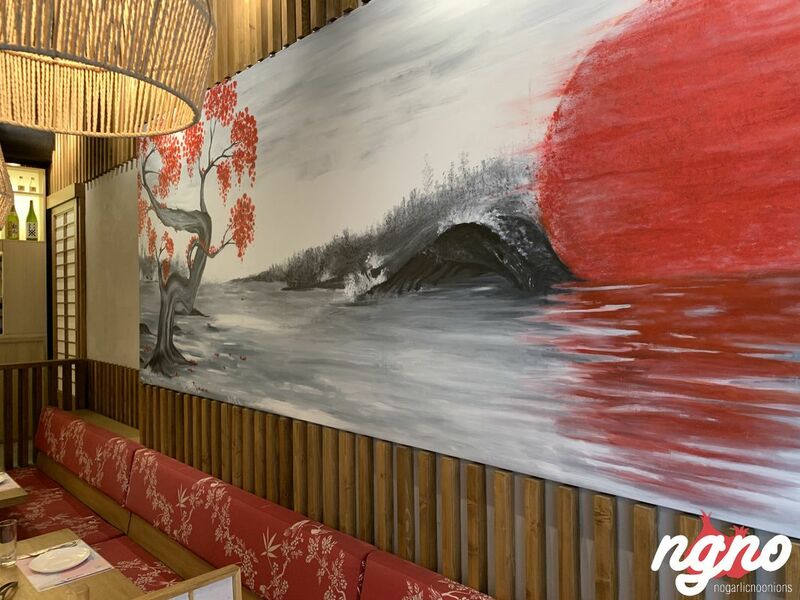 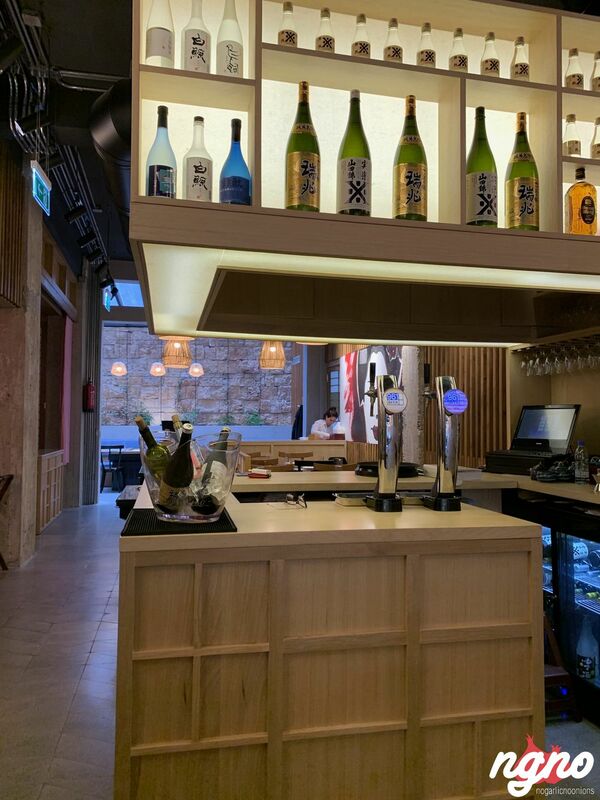 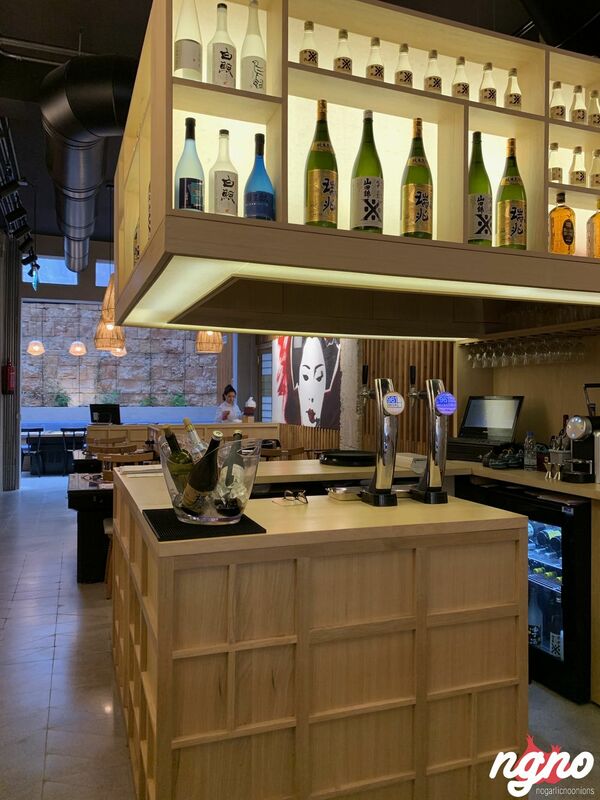 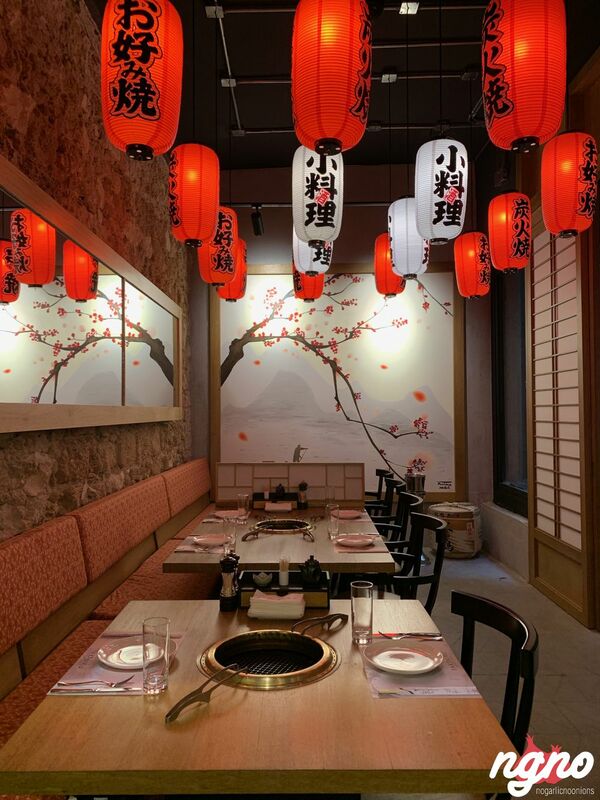 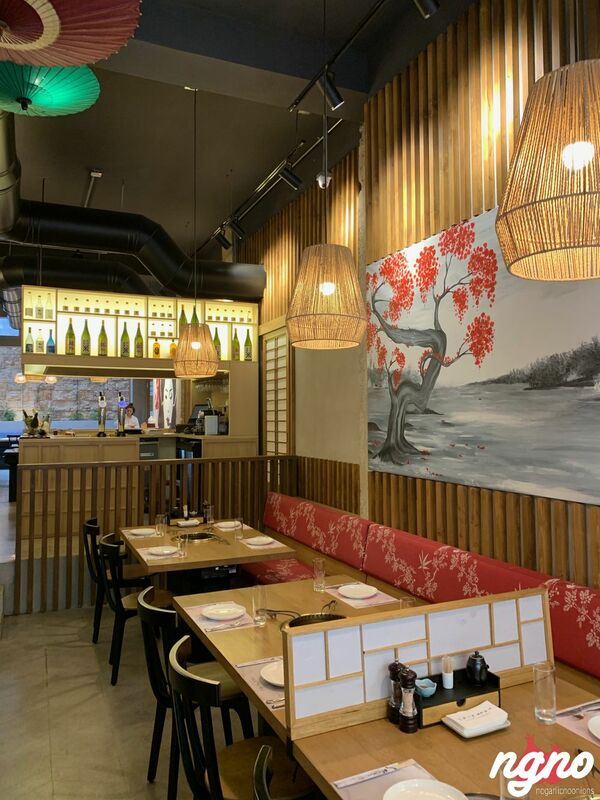 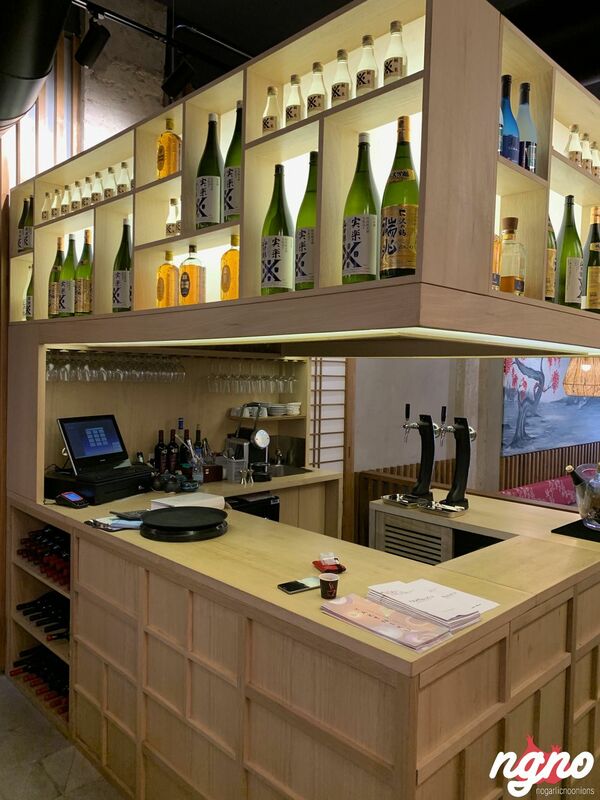 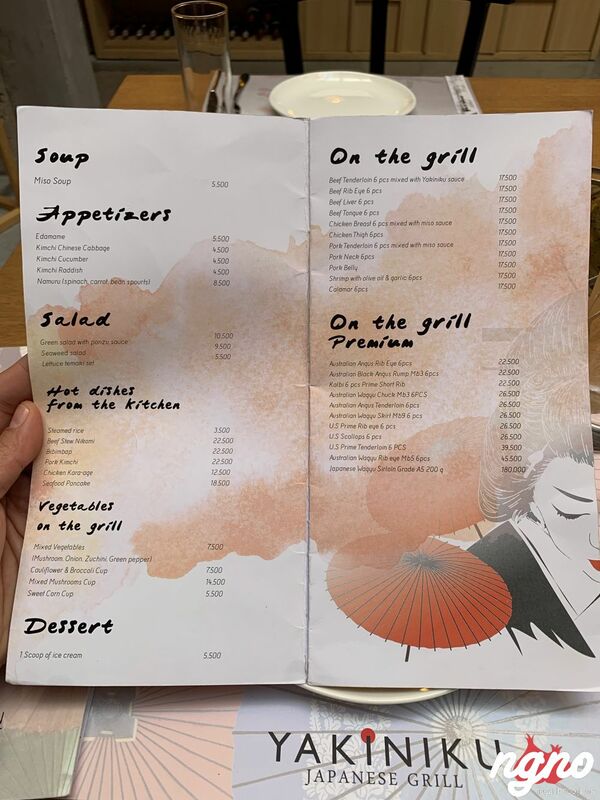 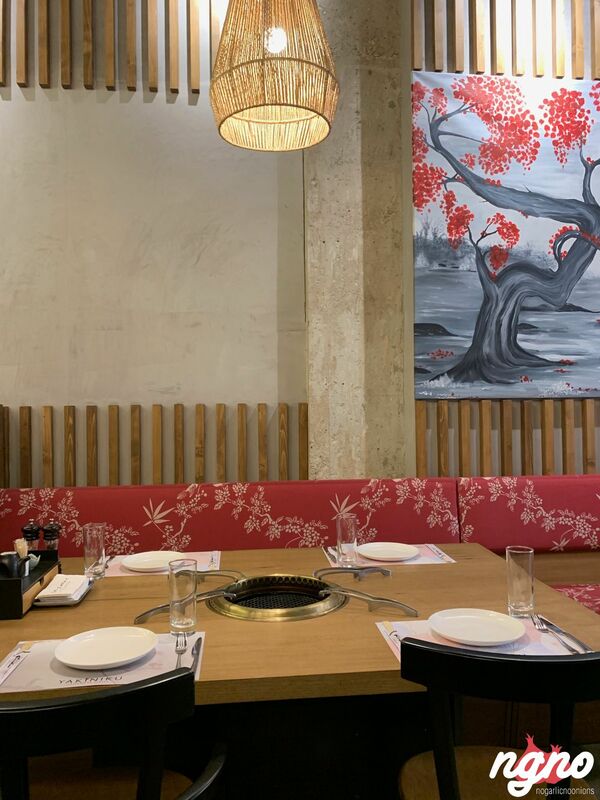 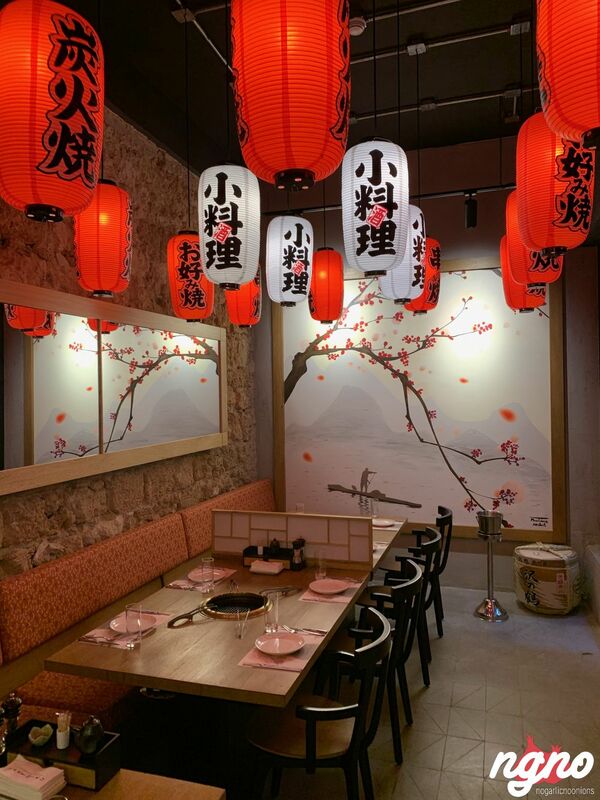 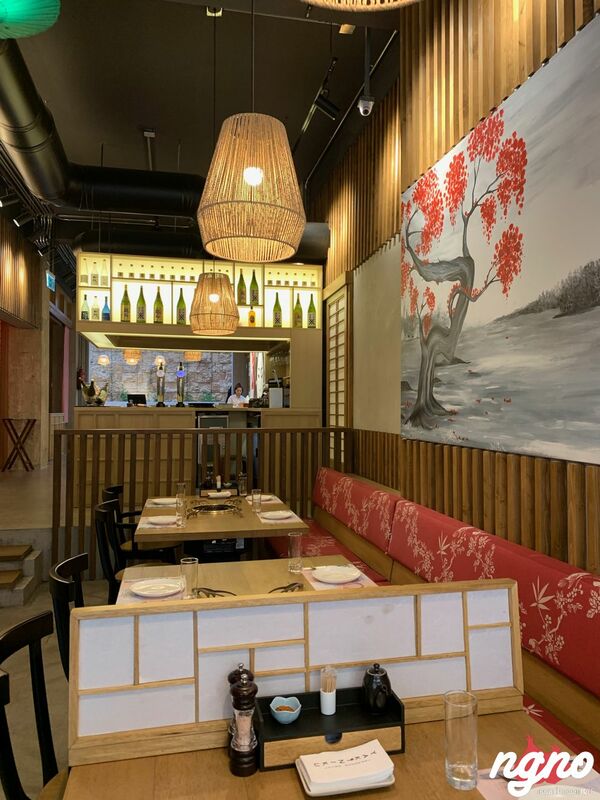 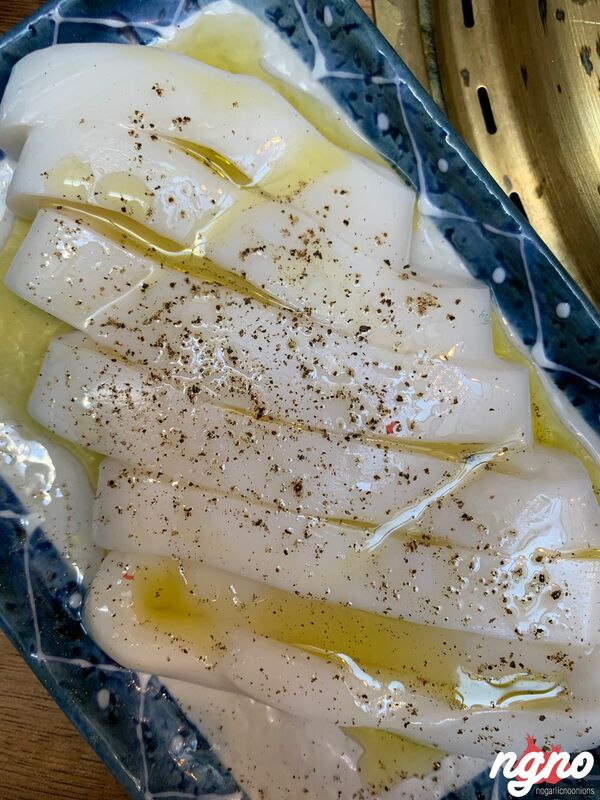 A big full-fledge restaurant has imported the Japanese grill culture to Lebanon. 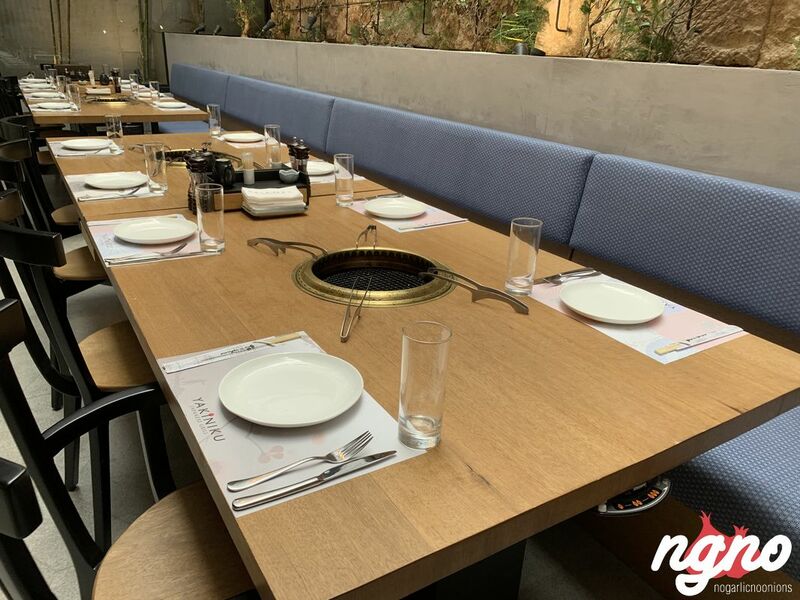 Sit down and relax, listen to classical music, enjoy the soothing greenery while chitchatting to the sizzling sounds of the grill. 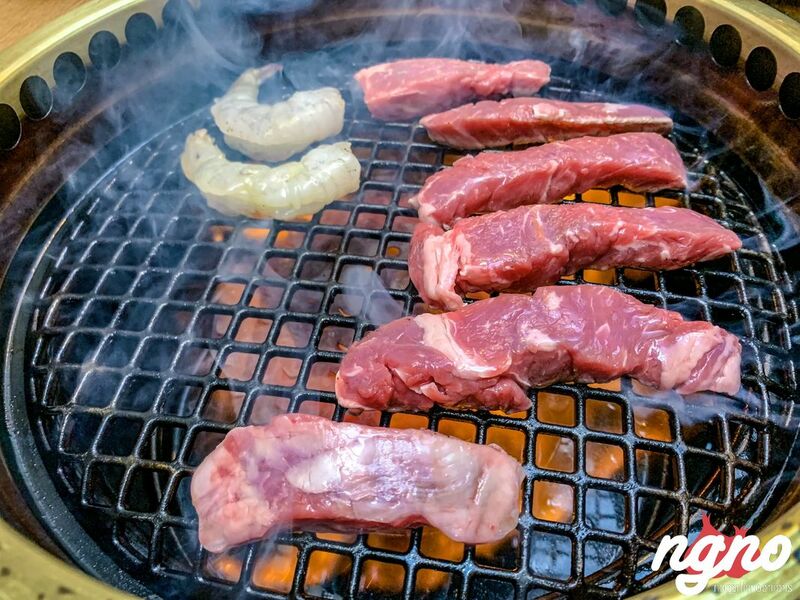 Yakiniku, meaning "grilled meat," is a Japanese term that, in its broadest sense, refers to grilled meat cuisine. 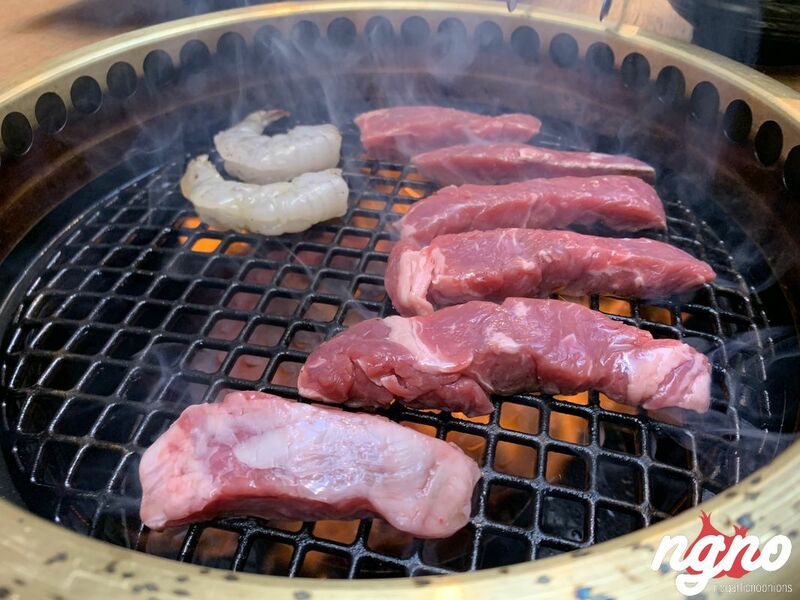 "Yakiniku" originally referred to western "barbecue" food, the term being popularized by Japanese writer Kanagaki Robun in his Seiyo Ryoritsu in 1872. 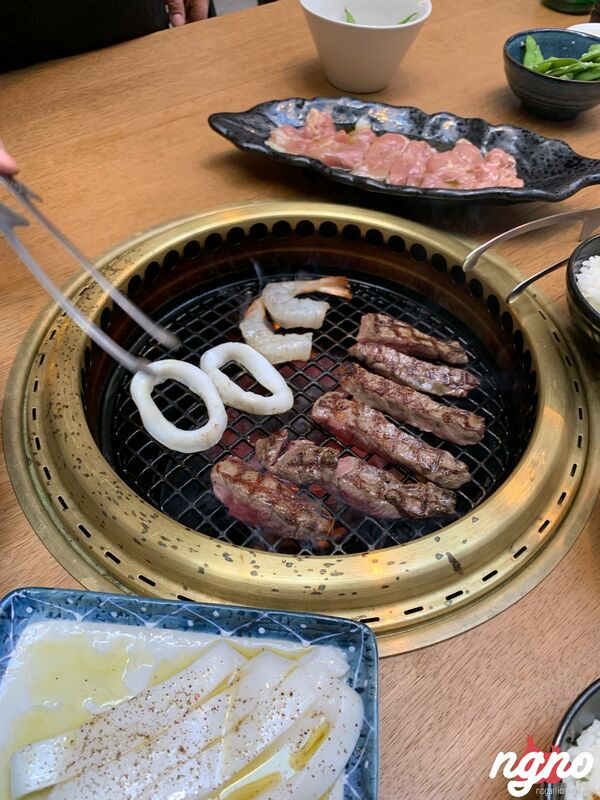 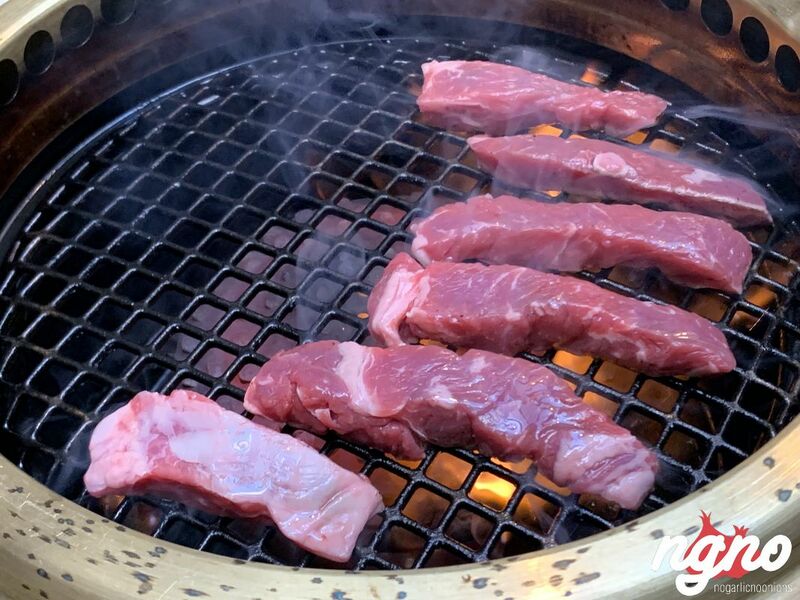 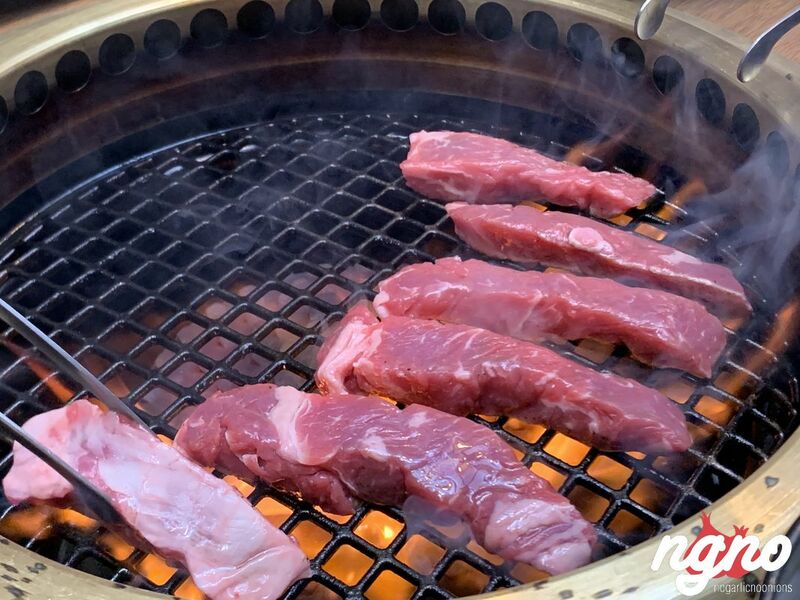 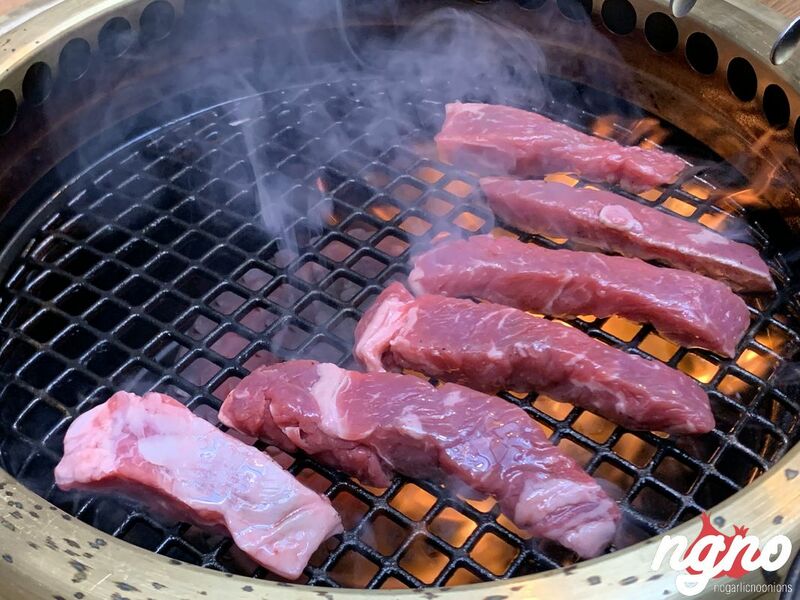 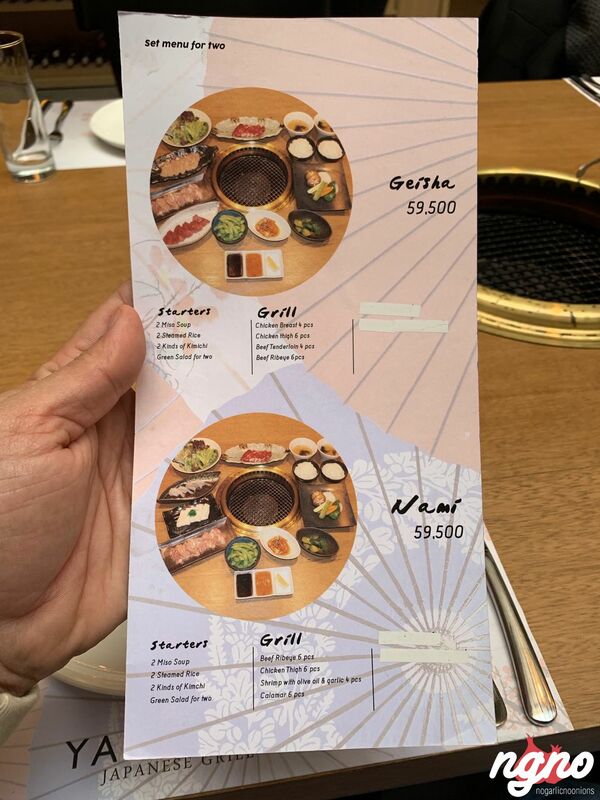 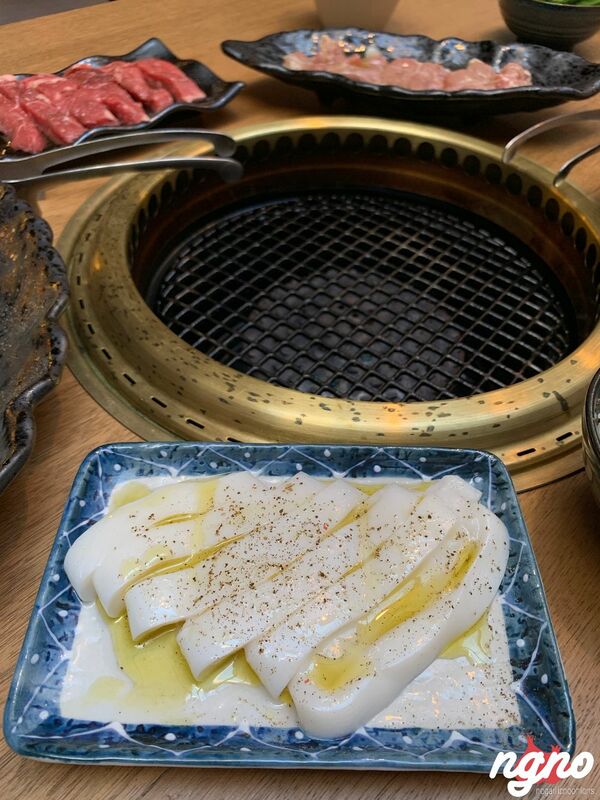 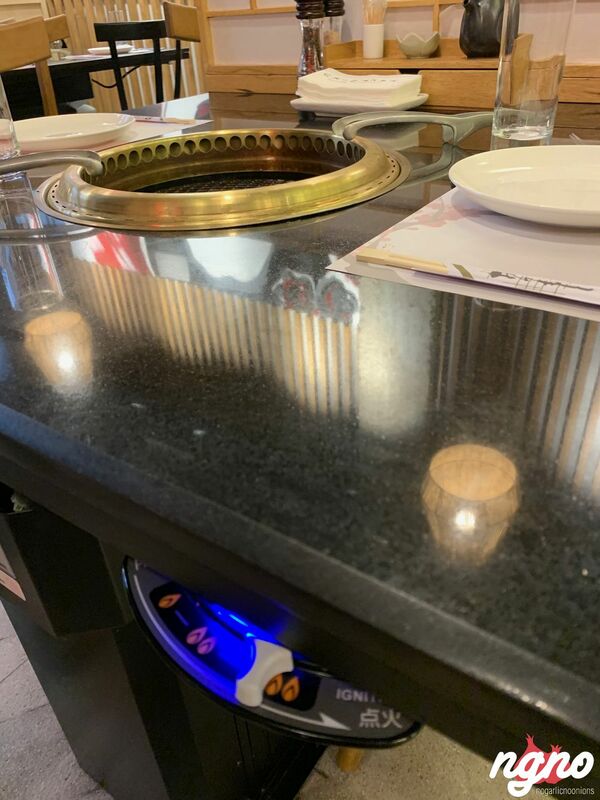 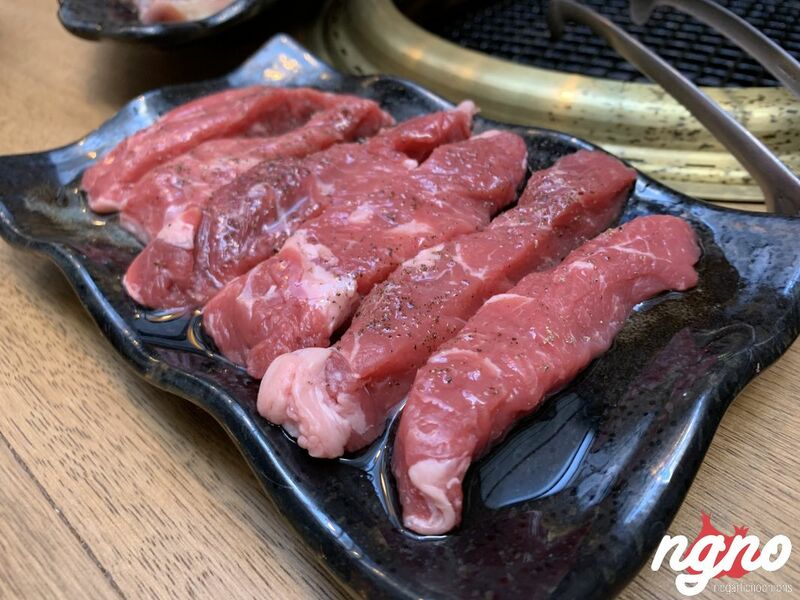 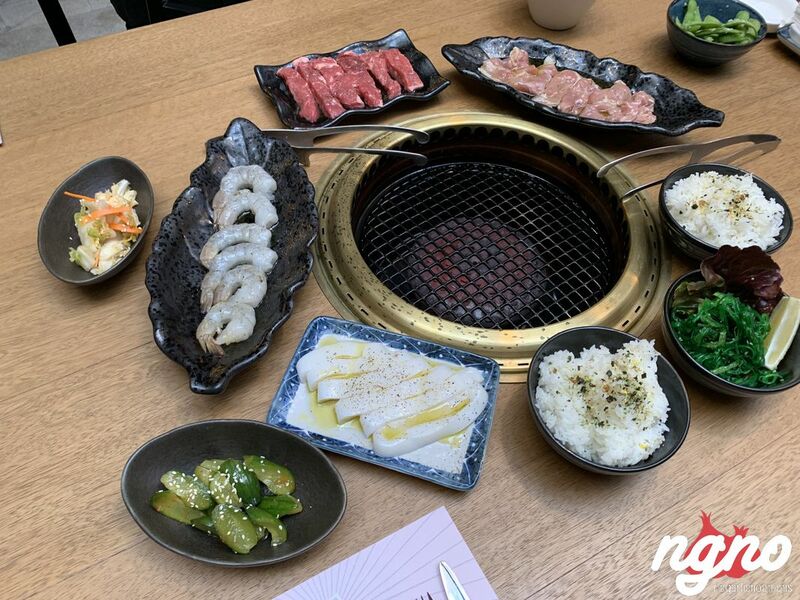 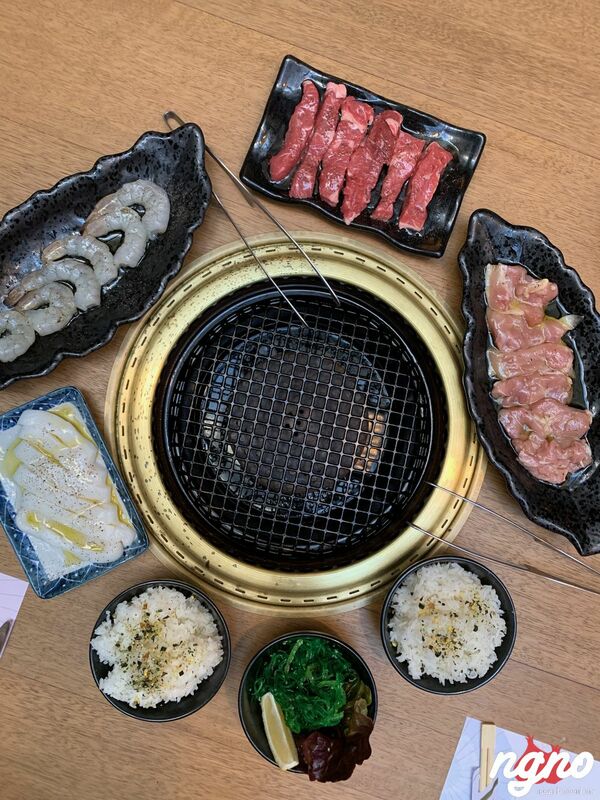 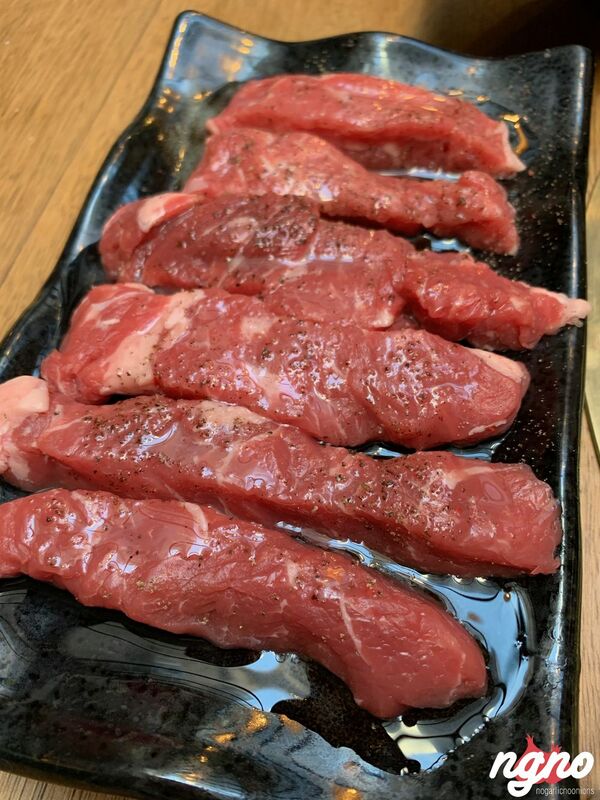 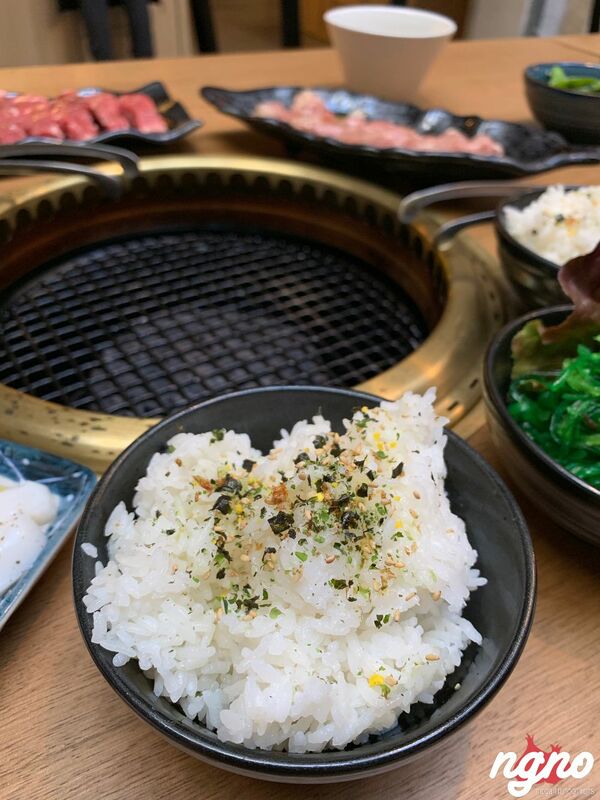 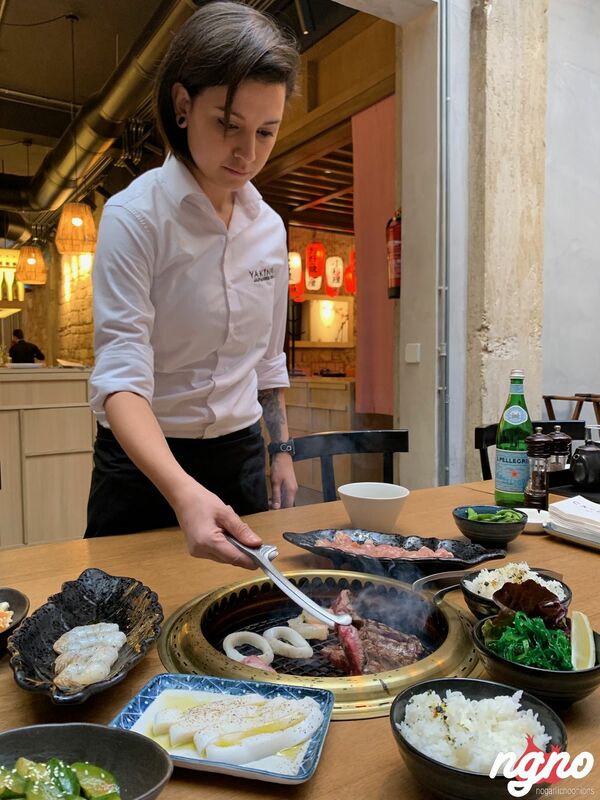 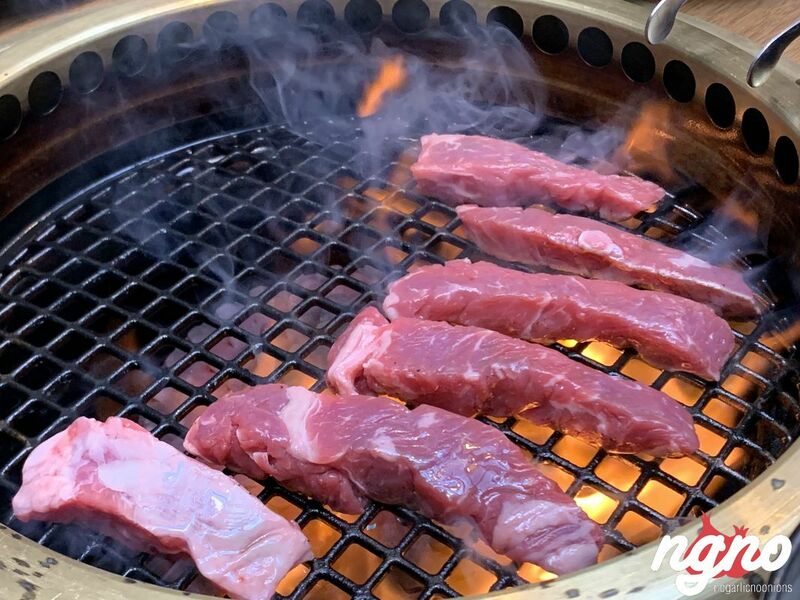 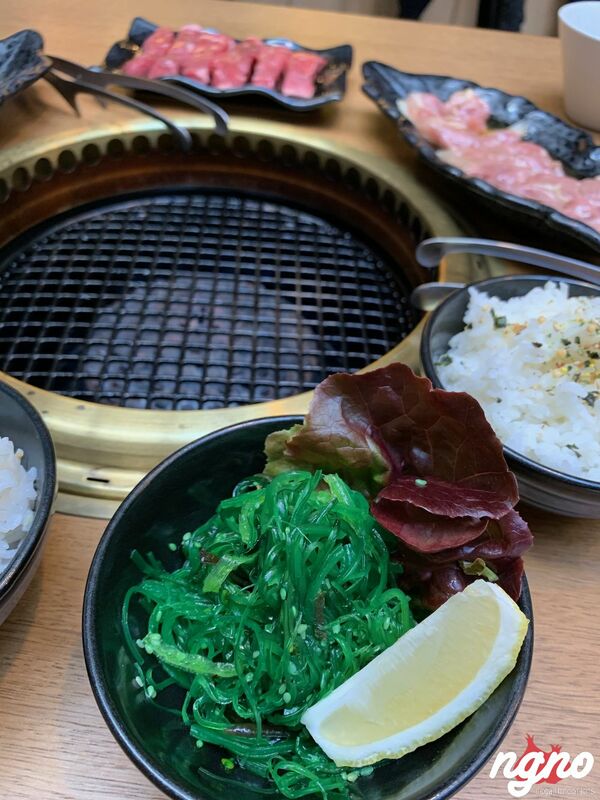 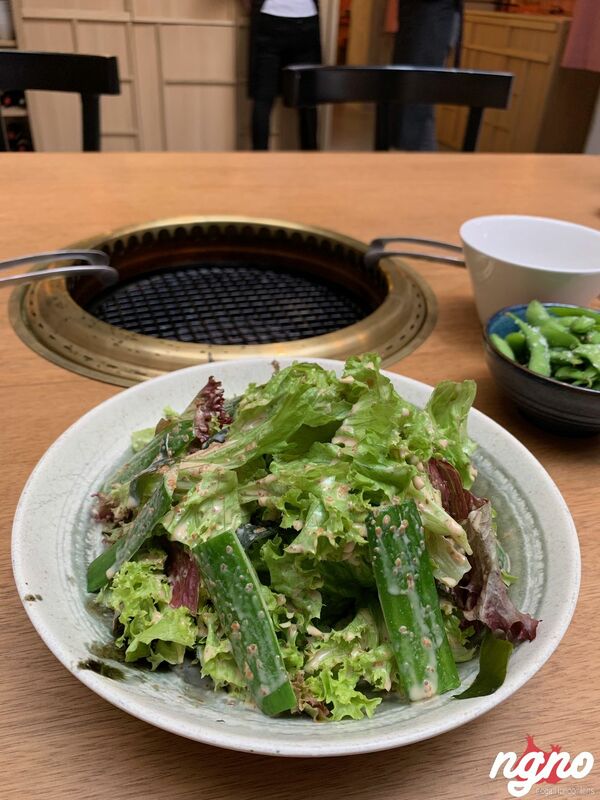 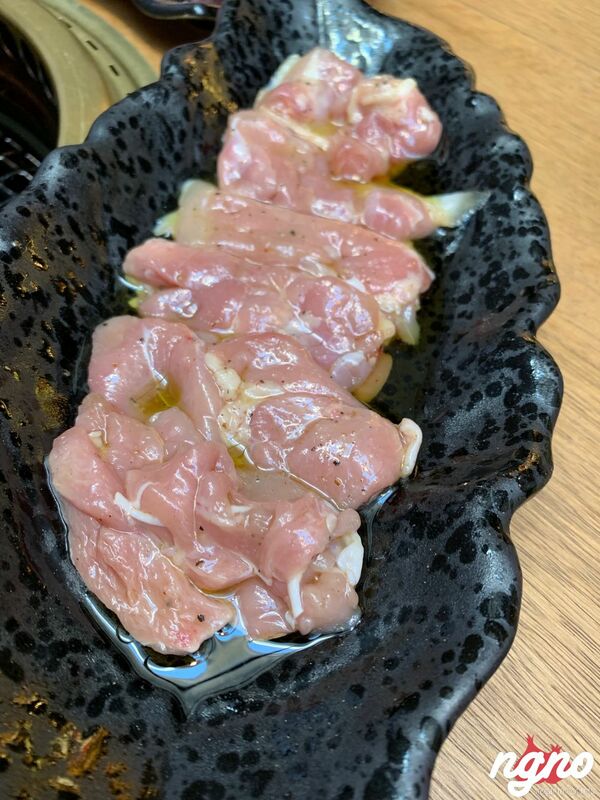 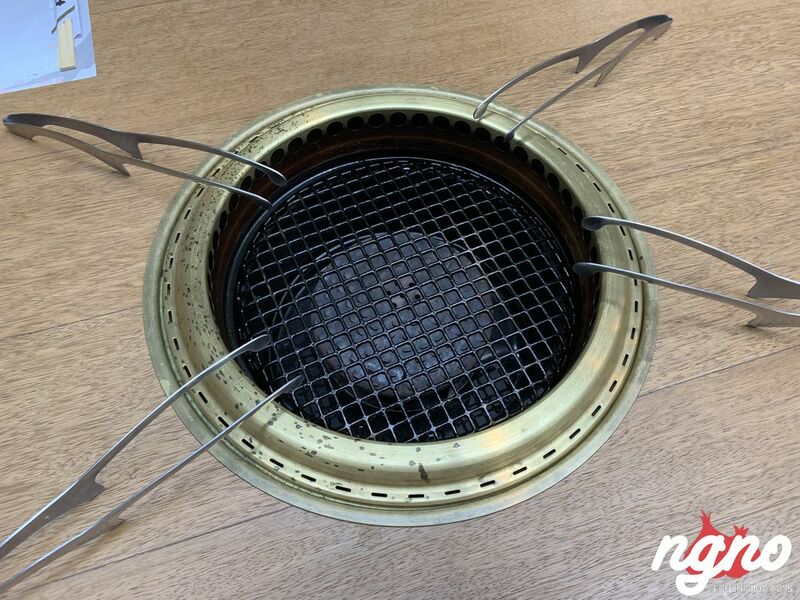 Today, "yakiniku" commonly refers to a Japanese style of cooking bite-size meat and vegetables on griddles over a flame of wood charcoals carbonized. In many parts of the world, yakiniku is also commonly referred to as "Japanese barbecue." 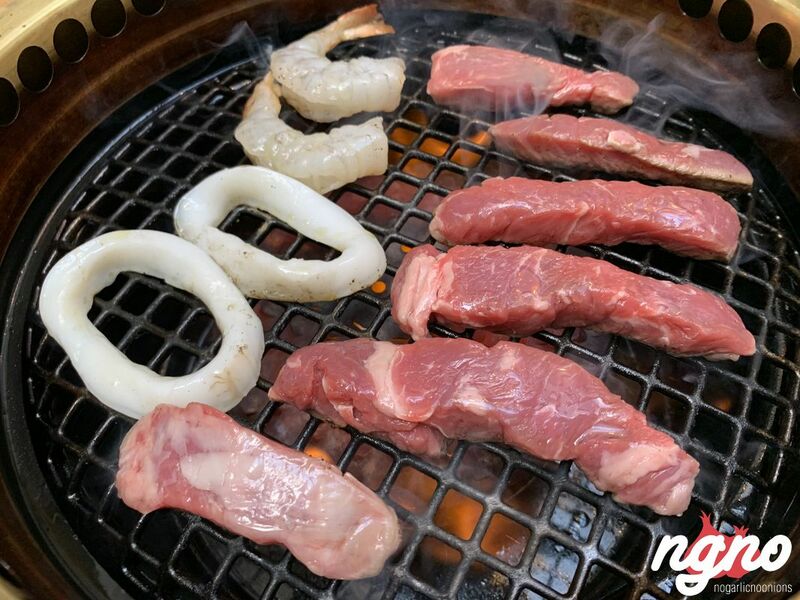 Nami Lunch menu: 2 miso sauce, two steamed rice, two kinds of Kimchi, green salad for two, beef ribeye six pieces, chicken thigh six pieces, shrimp with olive oil and garlic four pieces, calamari six pieces. 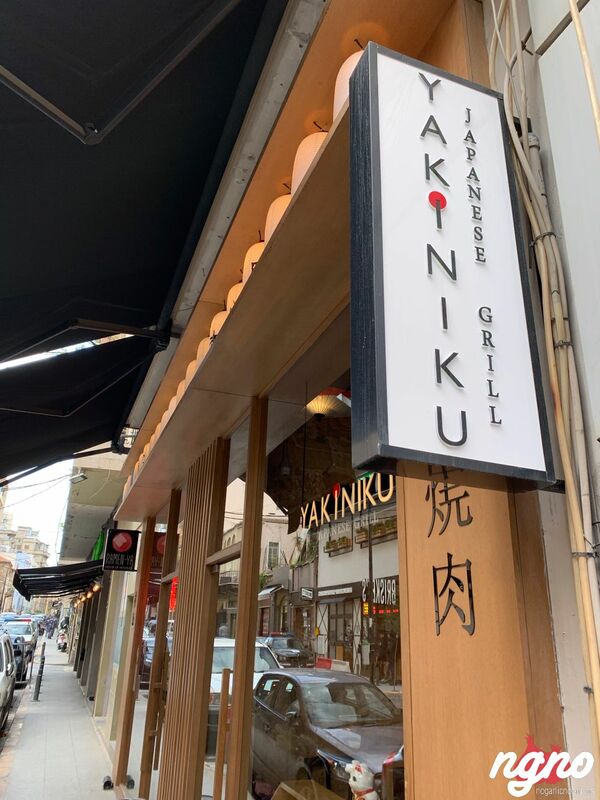 I loved it here! 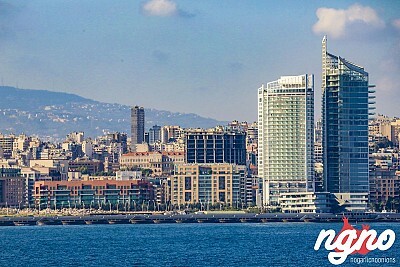 Lebanon needed high-end places, the real Asian culture which has been honestly missing in town. 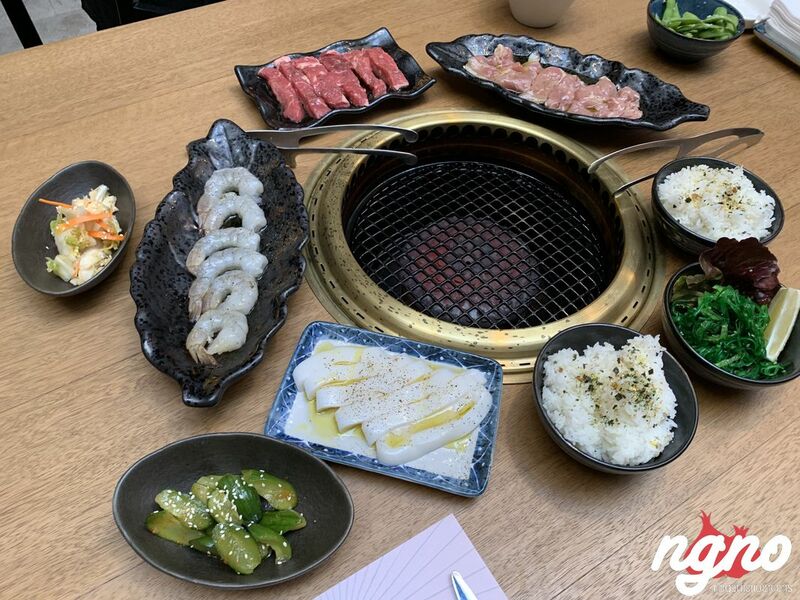 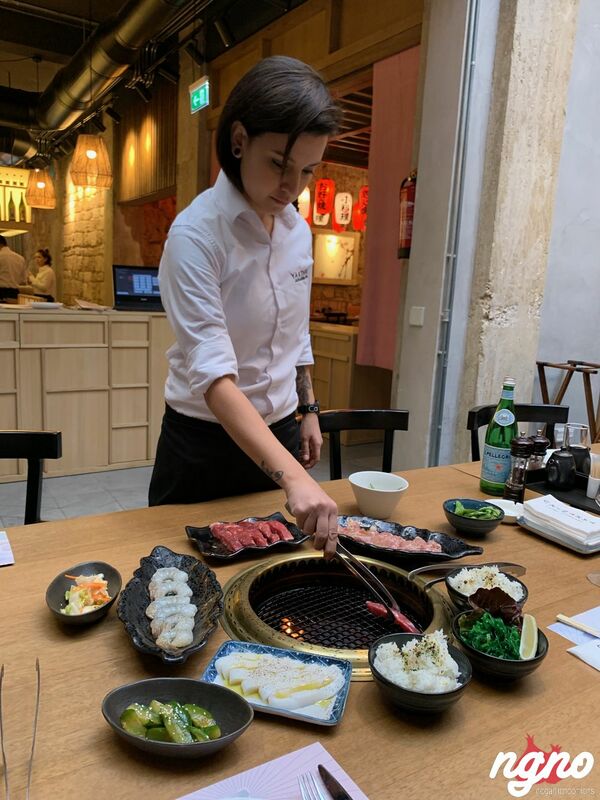 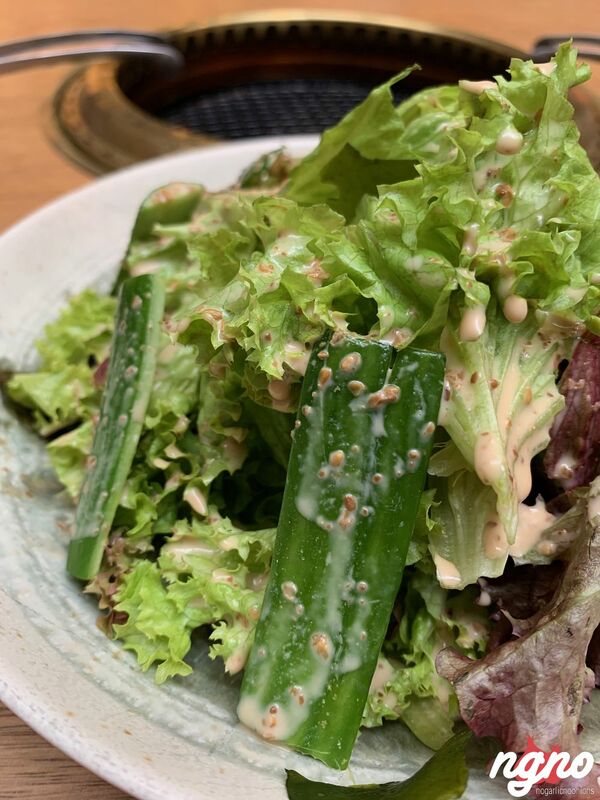 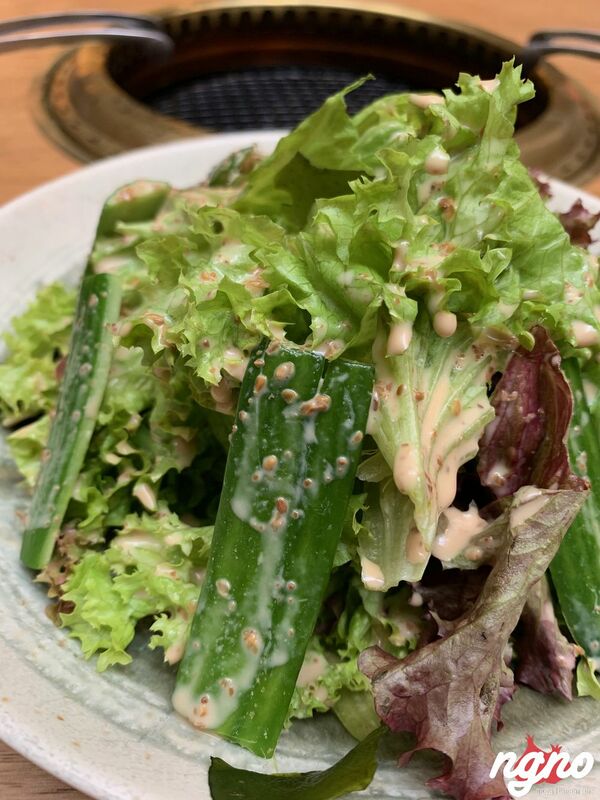 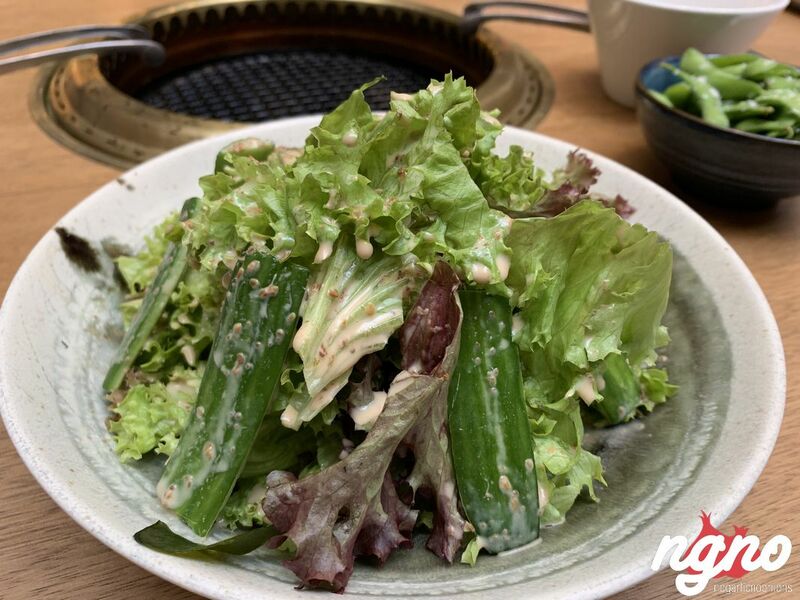 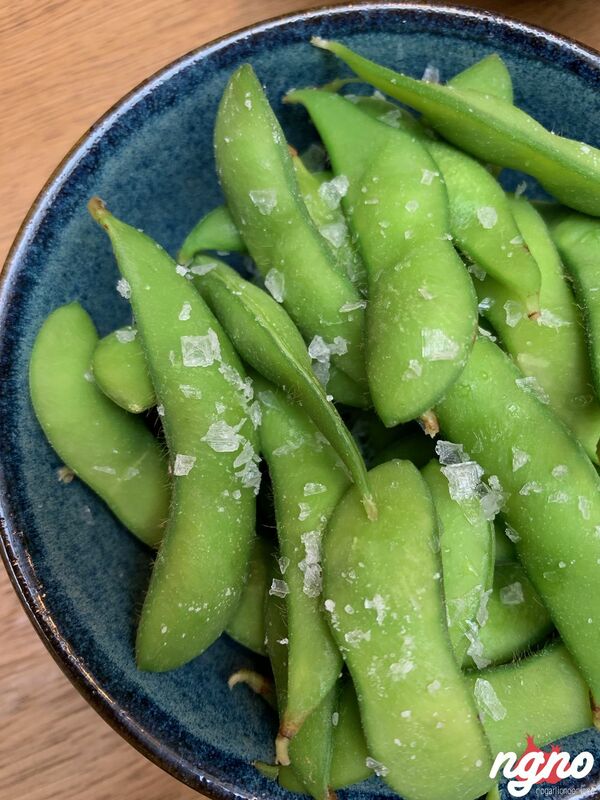 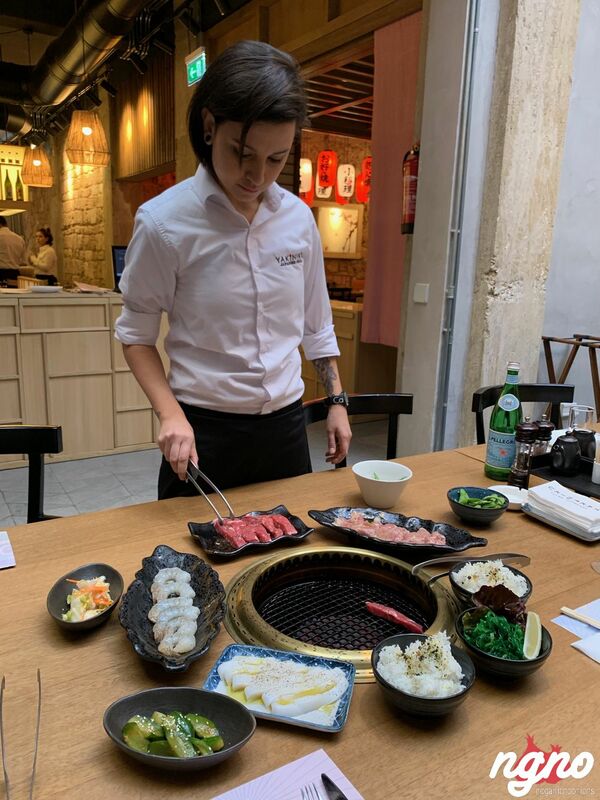 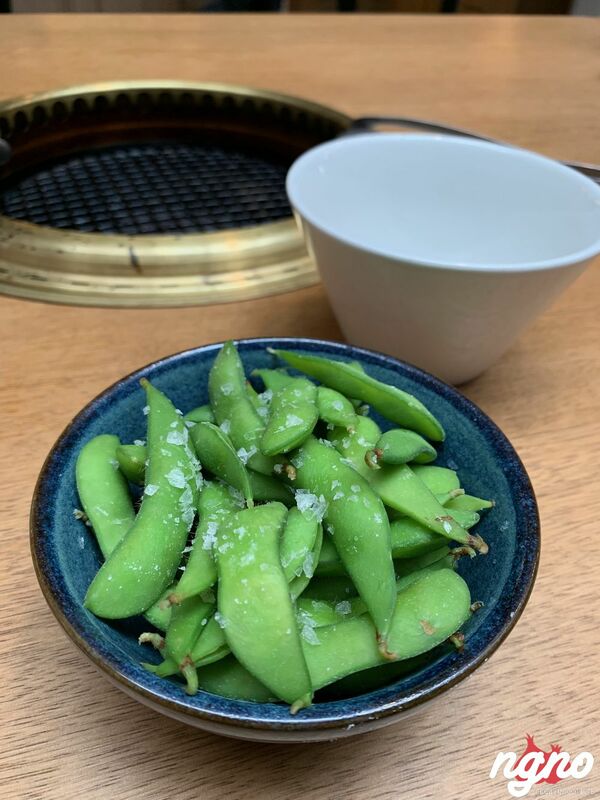 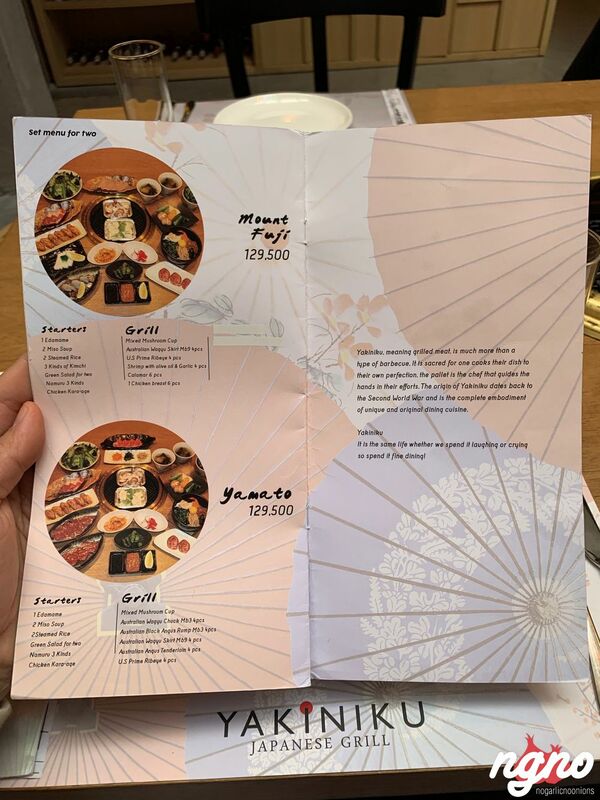 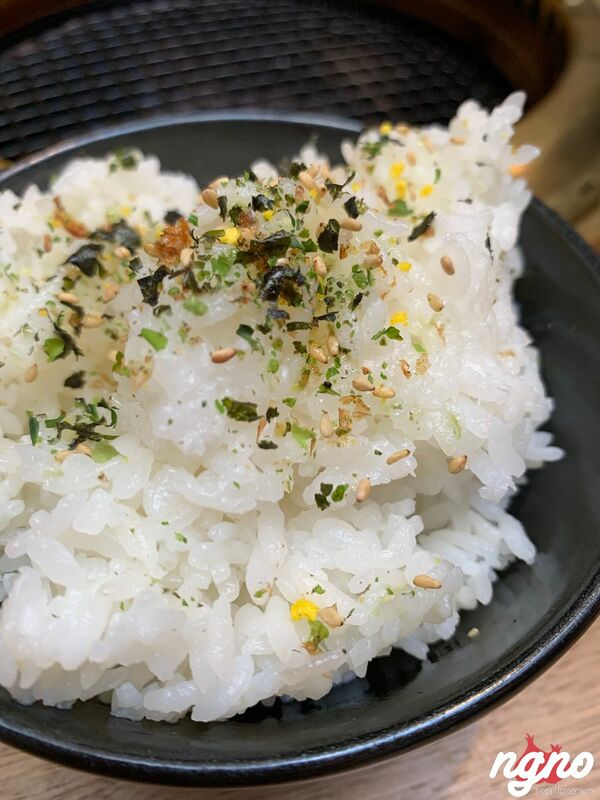 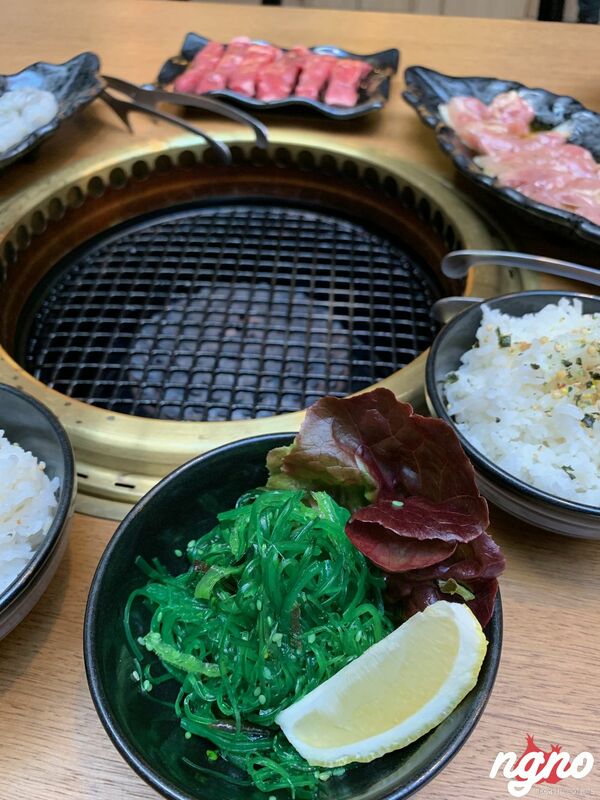 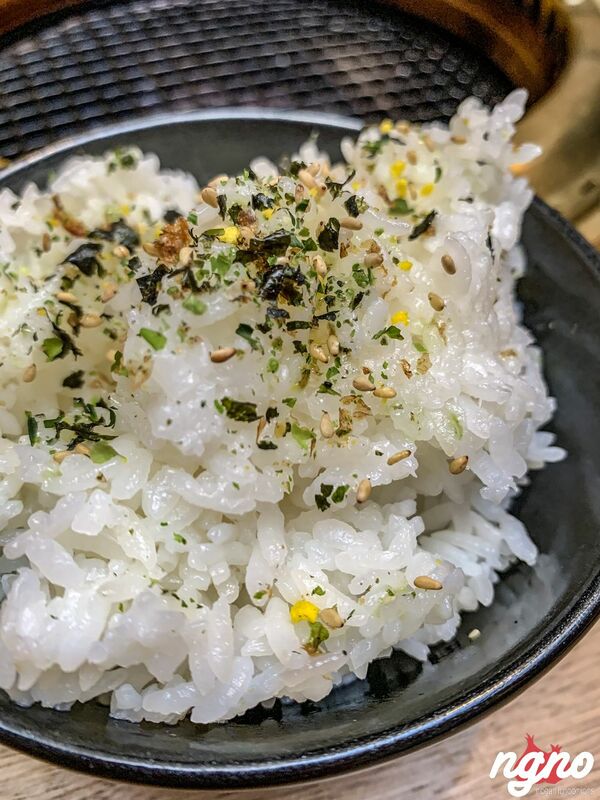 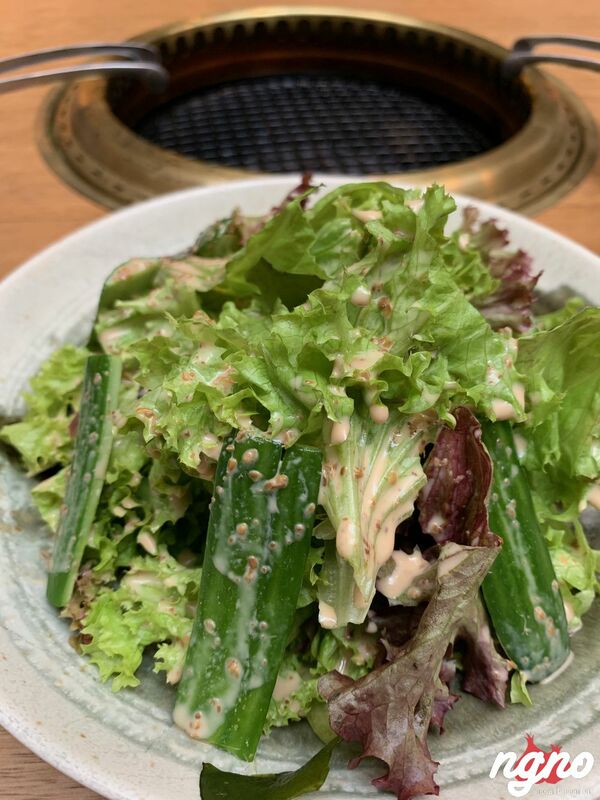 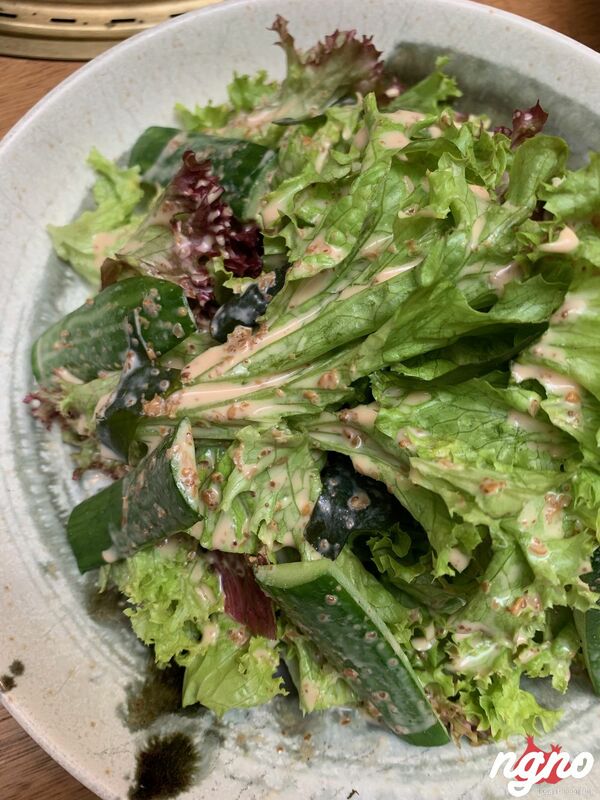 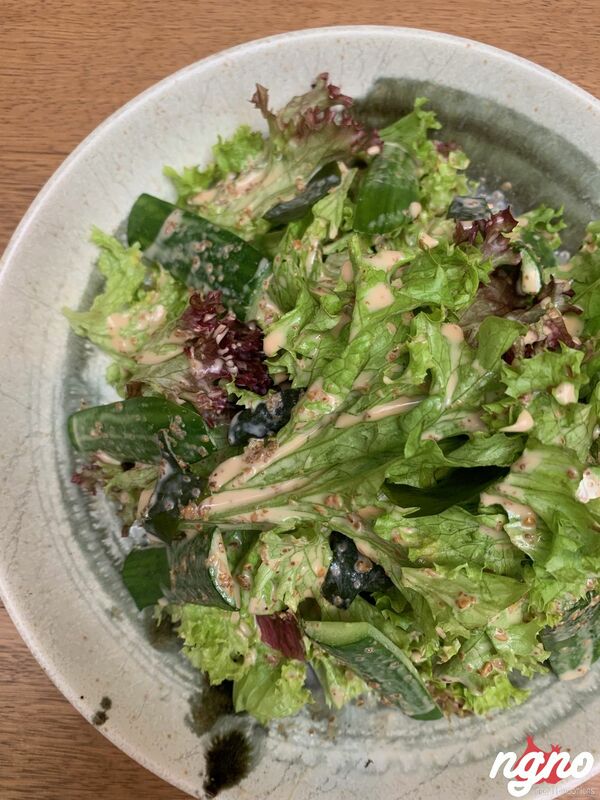 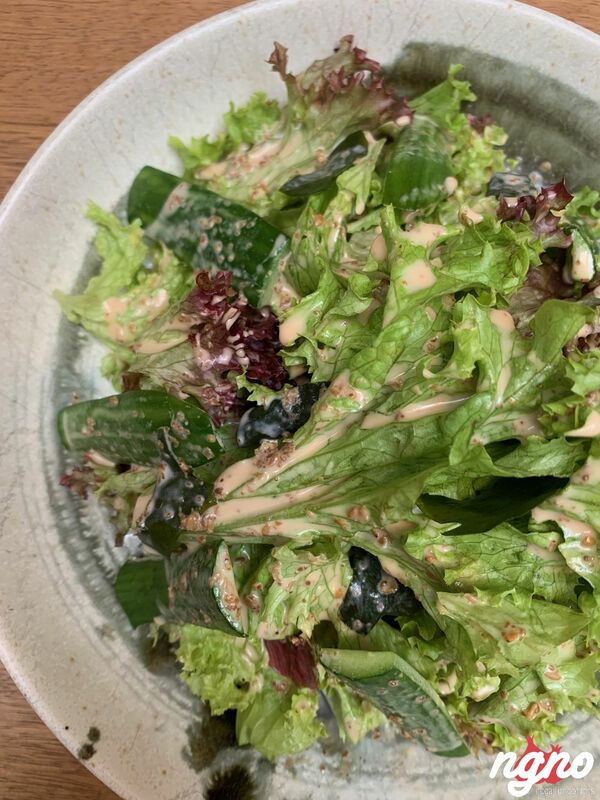 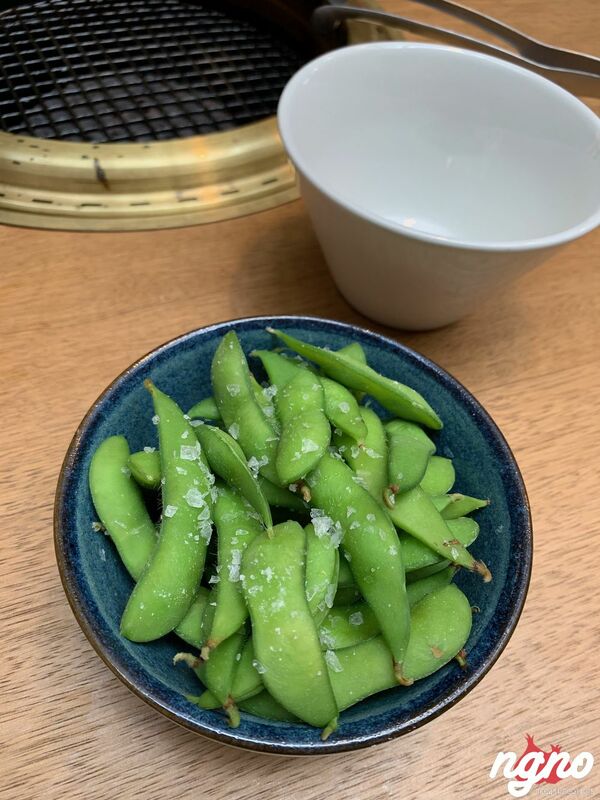 I believe we had enough of fast food sushi, sticky rice and the ugly green plastic leaves delivered home many consider to be “Japanese Sushi.” Asian food is much more than that, and Yakiniku reminded me of my last trip to Seoul. 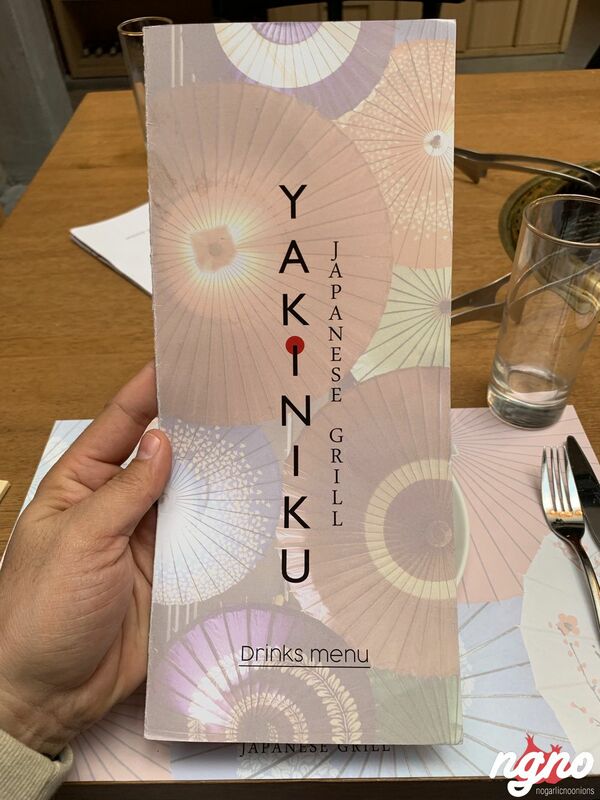 Excellent... food is excellent! 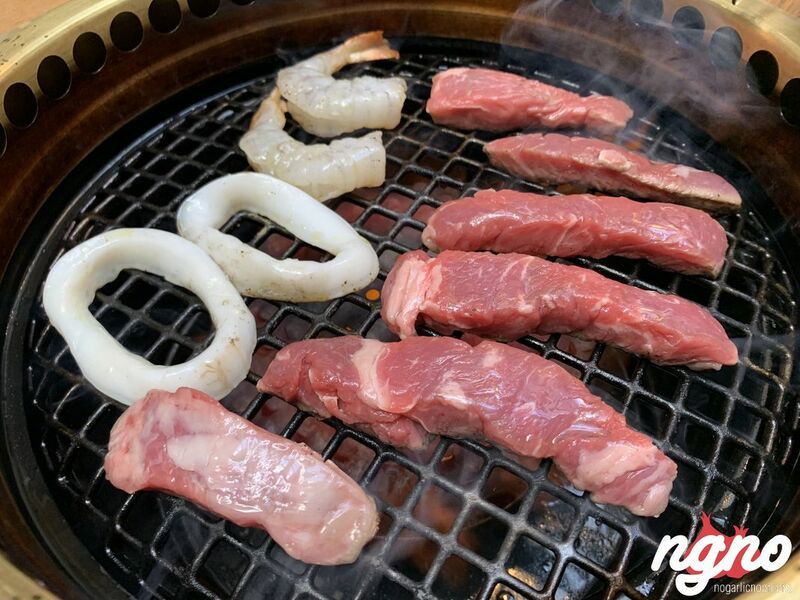 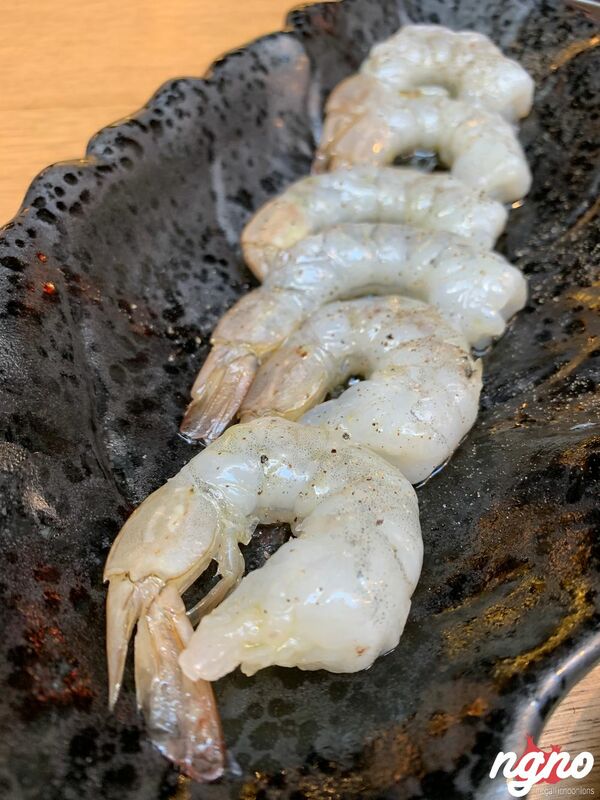 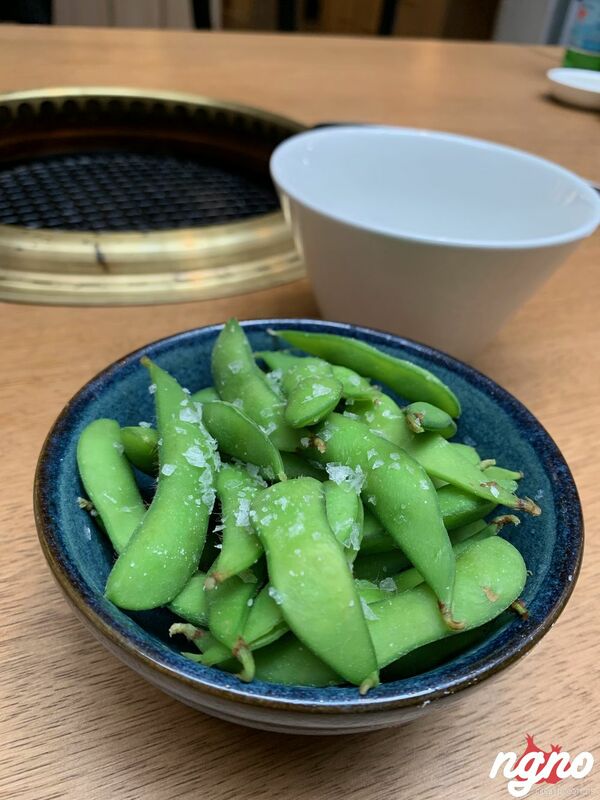 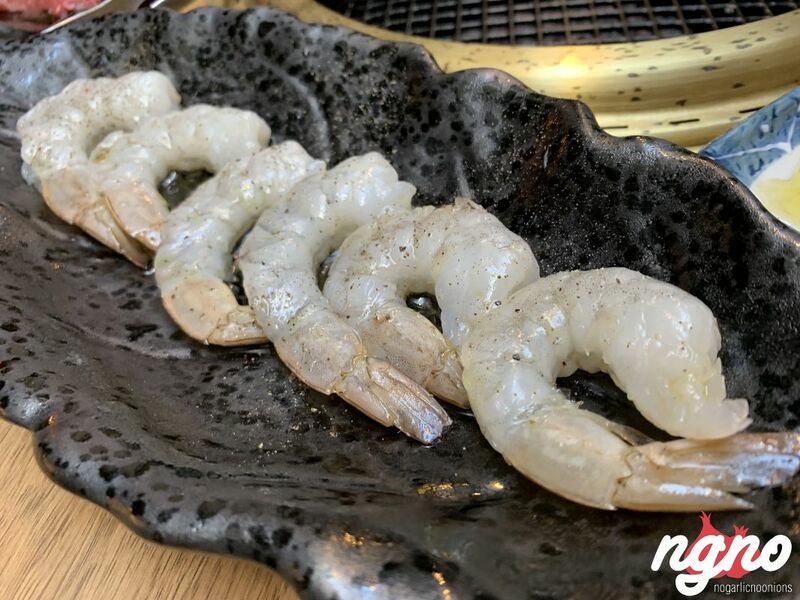 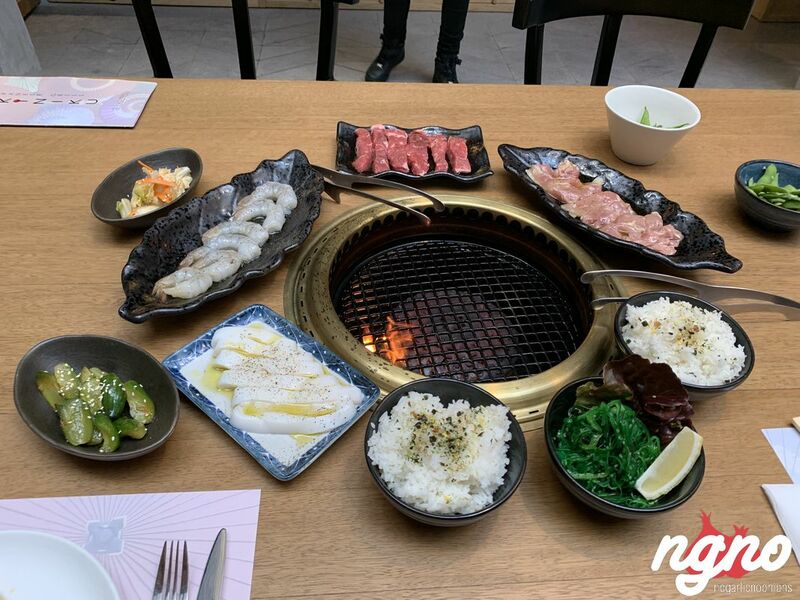 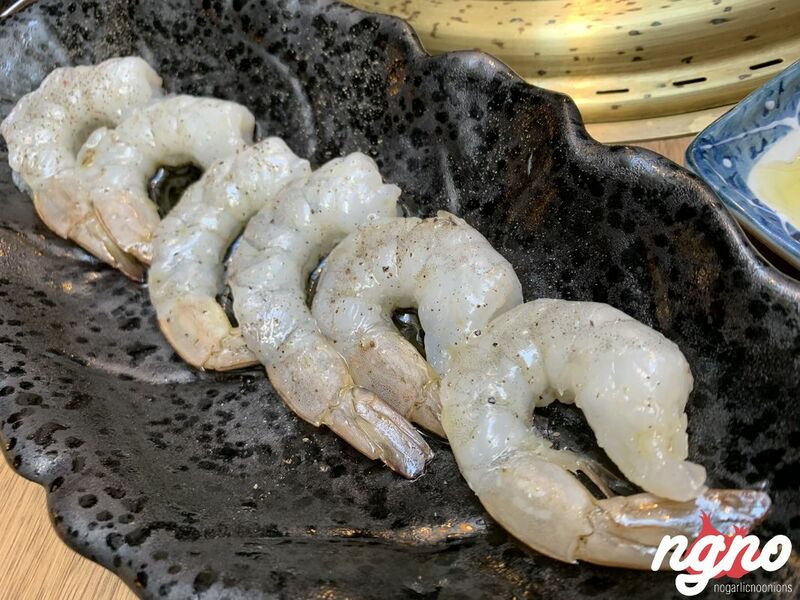 Enjoy grilling your own food, the fine quality beef, the giant shrimp, the big sized calamari accompanied by sticky rice, crunchy edamame, and kimchi. 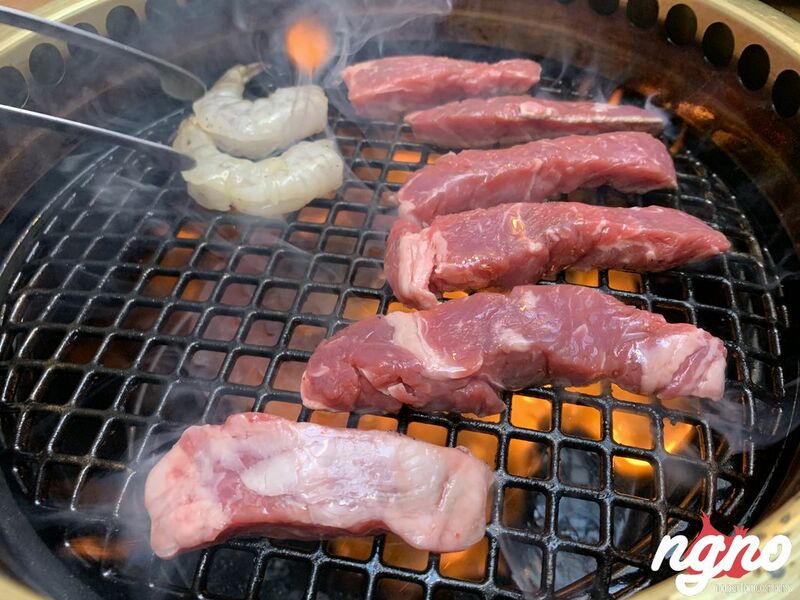 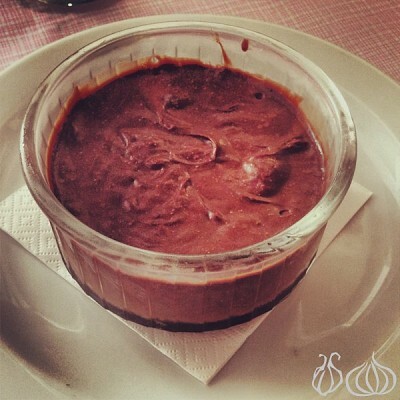 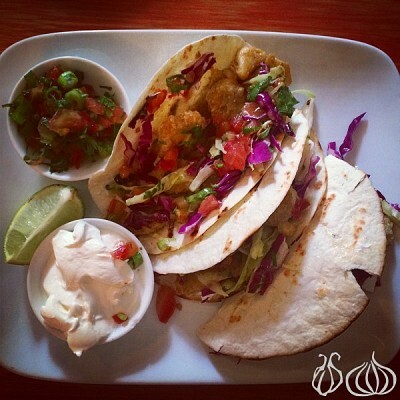 Top quality ingredients and amazing flavors you will remember. 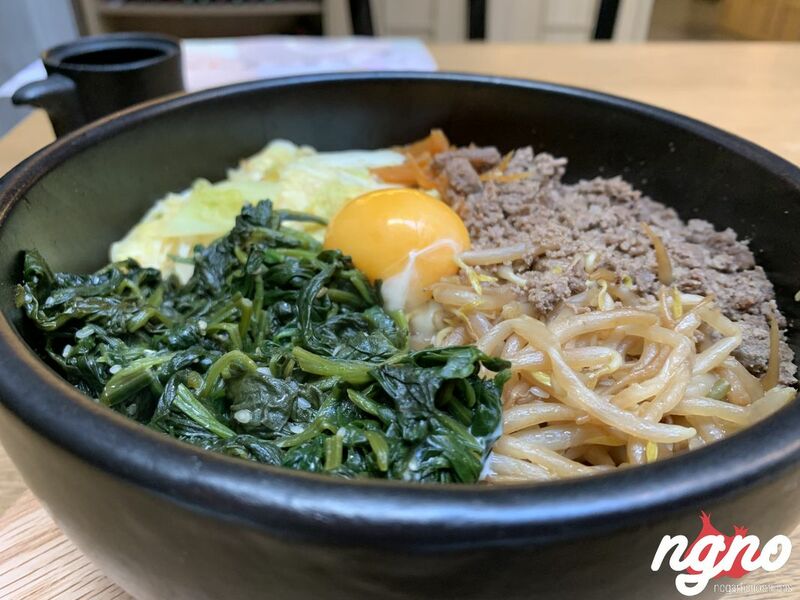 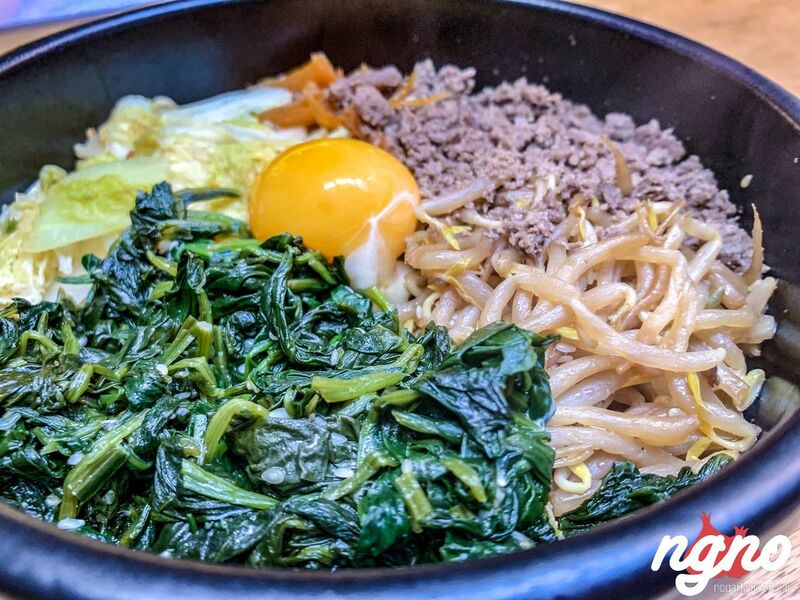 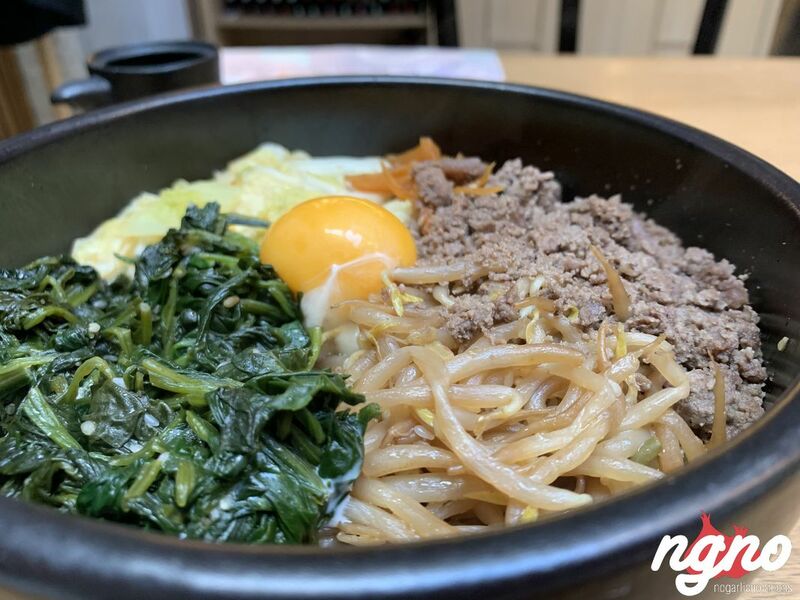 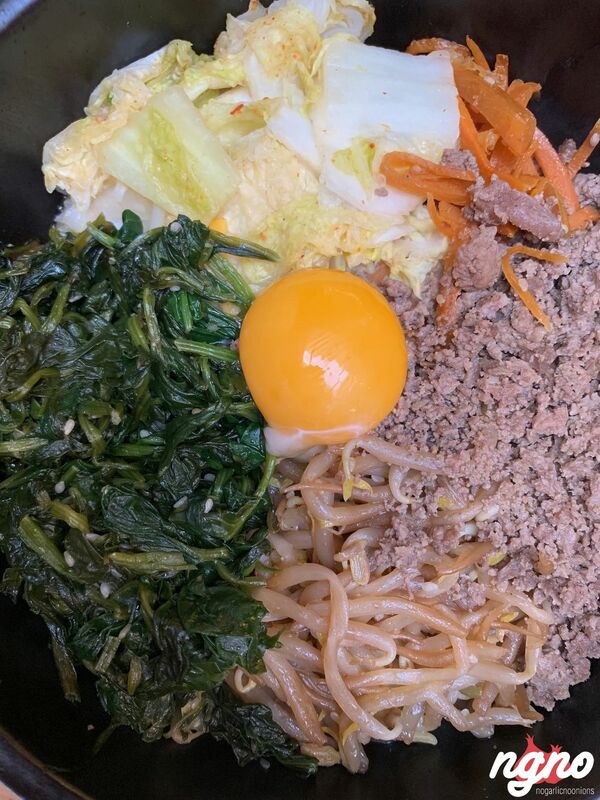 Order the bibimbap: Bibimbap, sometimes romanized as bi bim bap or bi bim bop, is a Korean rice dish. 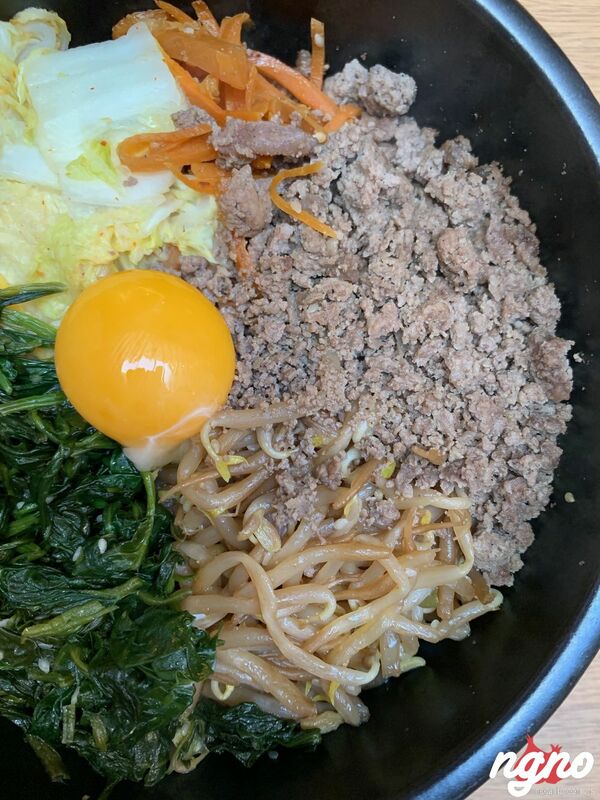 The term “bibim” means mixing various ingredients, while the “bap” noun refers to rice. 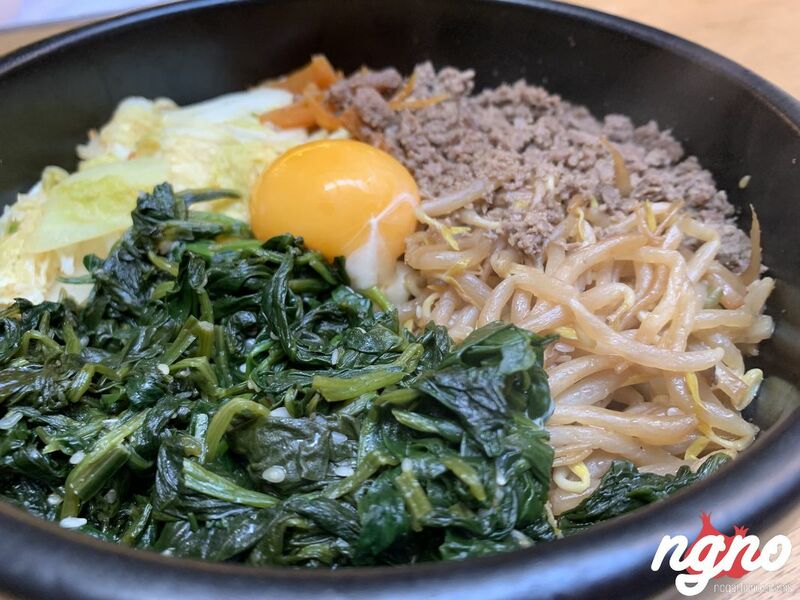 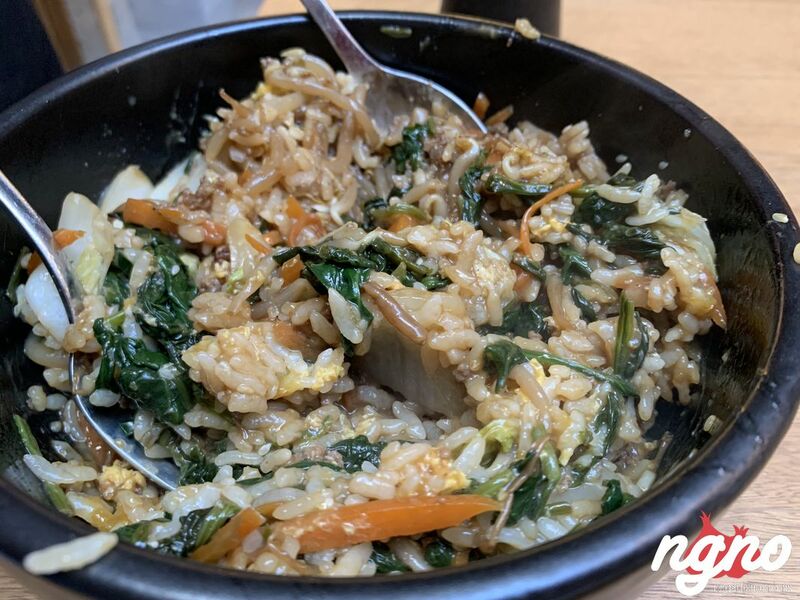 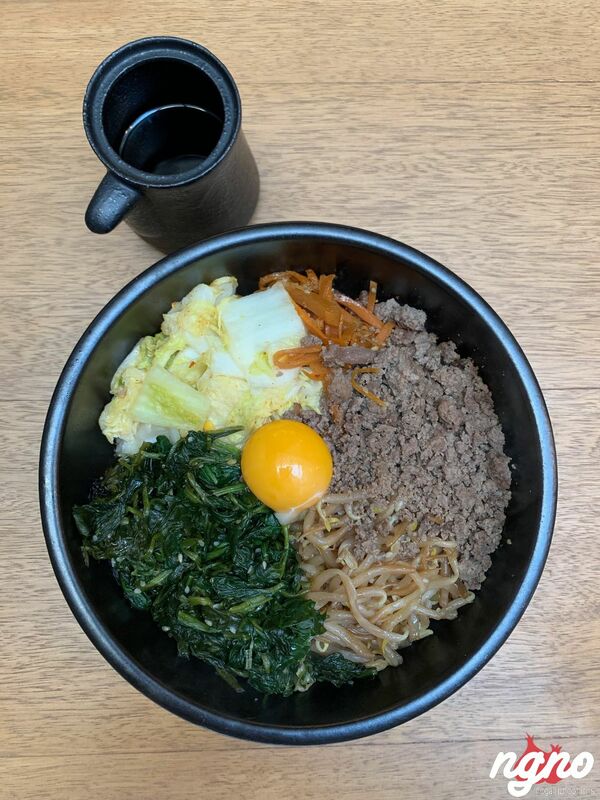 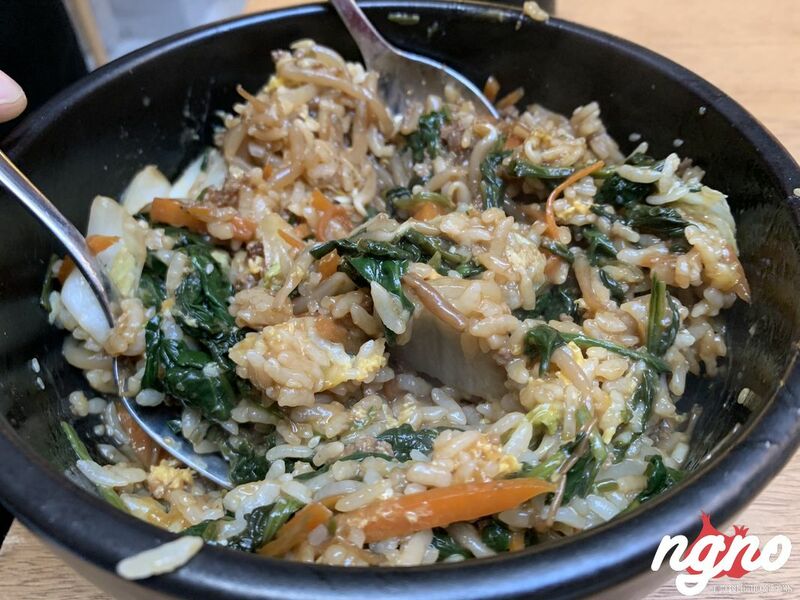 Bibimbap is served as a bowl of warm white rice topped with namul and gochujang, soy sauce, or doenjang. 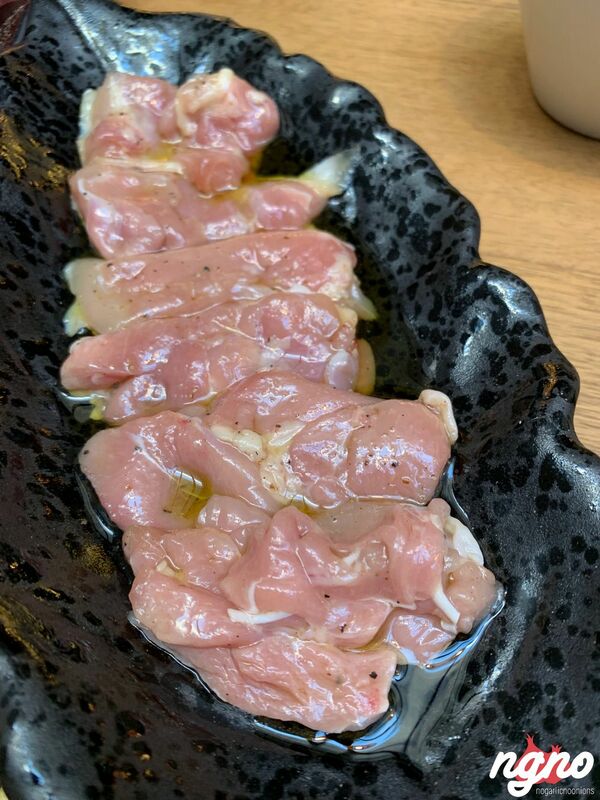 It’s so finger-licking good!!!!! 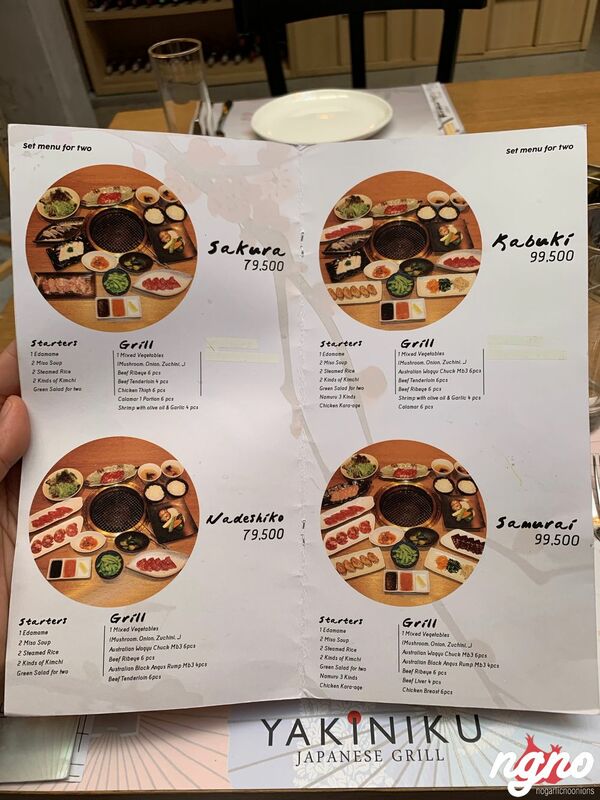 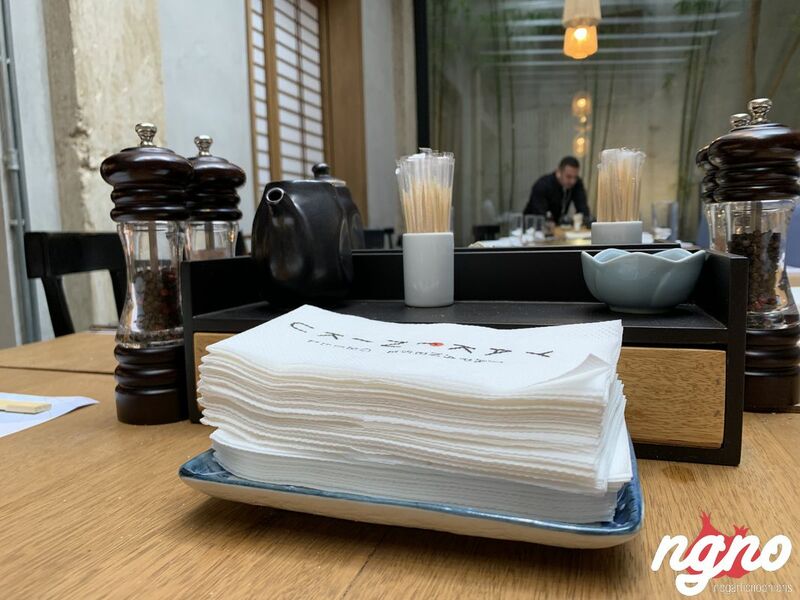 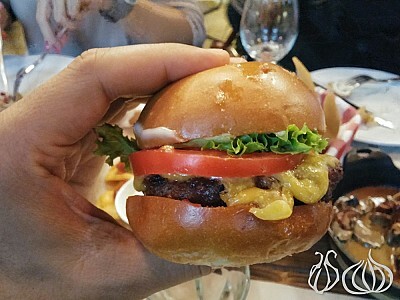 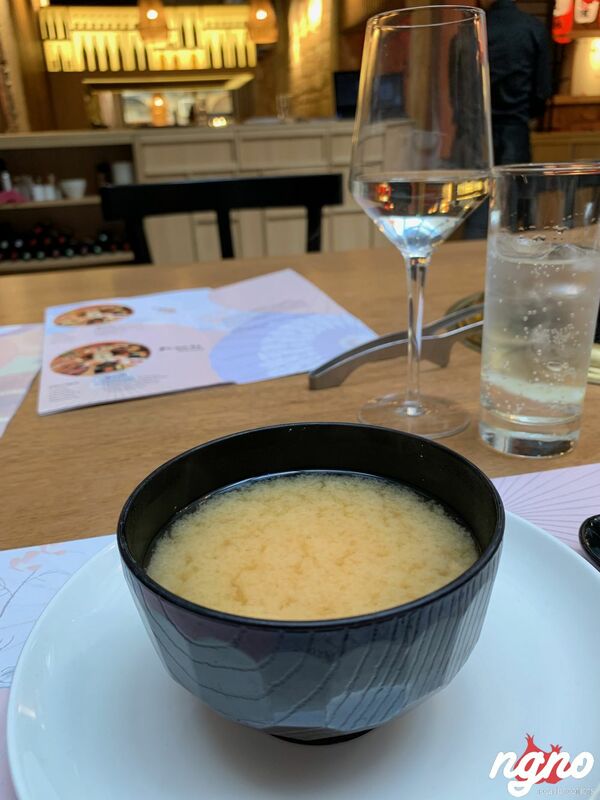 Even though everything contains garlic and many items were prepared in an alternative way just for me, I can assure you that I enjoyed my experience to the max! 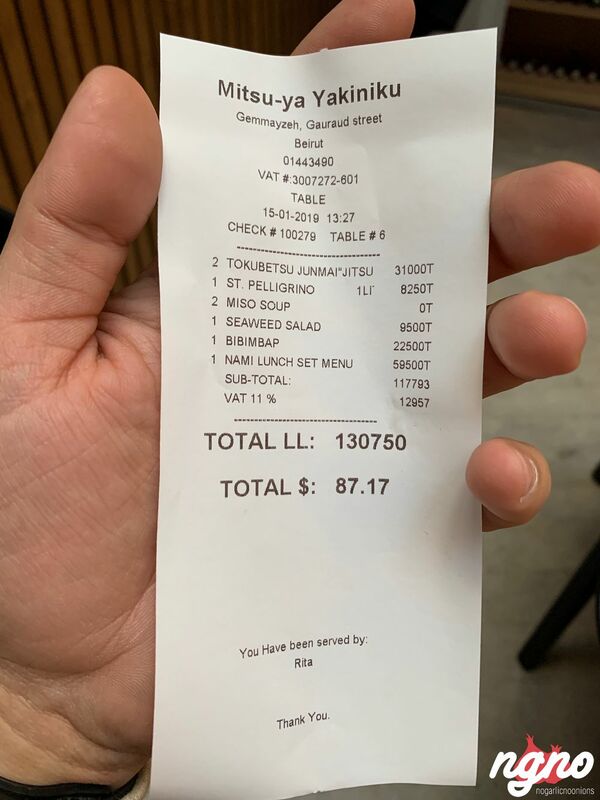 Thank you, Rita, for serving us today. 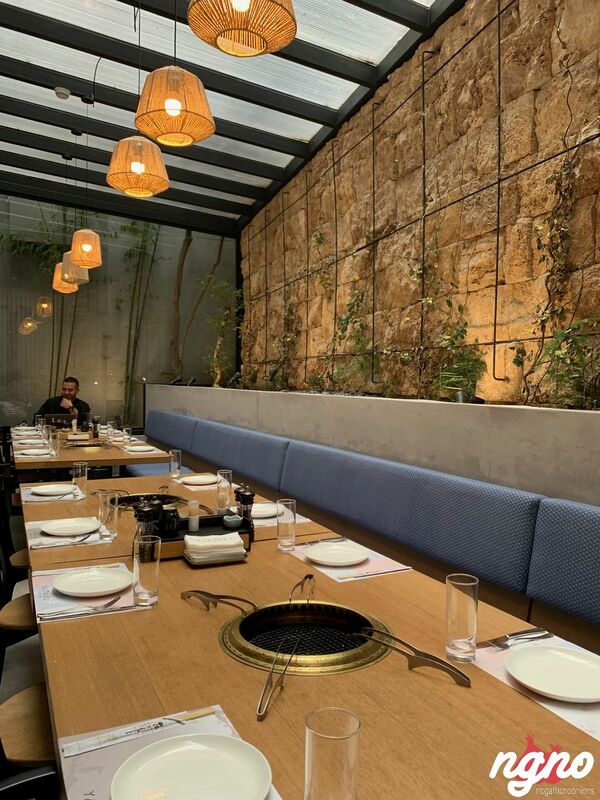 This restaurant made me feel proud of our Lebanese culinary know-how which can take any cuisine and replicate it perfectly. 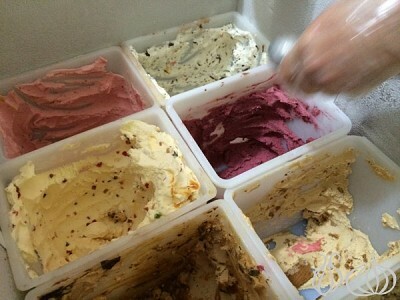 The “YA” group has excelled, taking food in Beirut to a higher level. 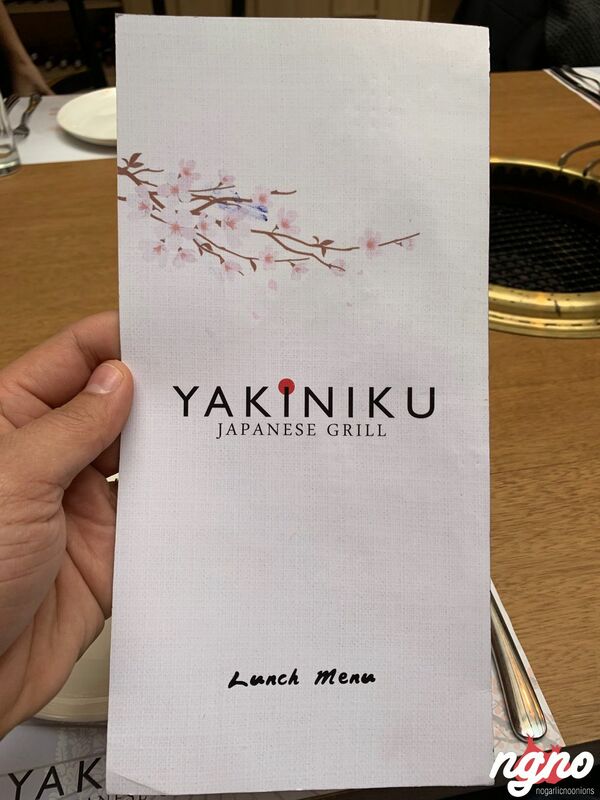 Thank you guys for existing... you make me travel to Asia every time I visit.